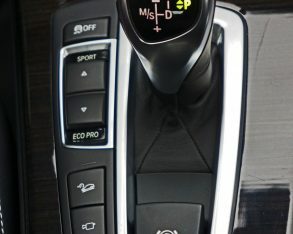 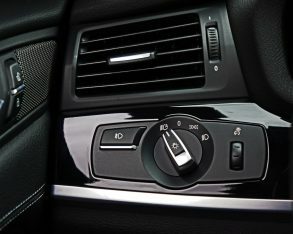 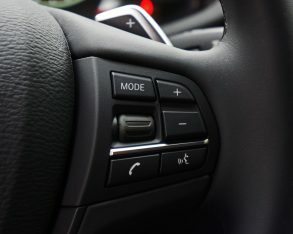 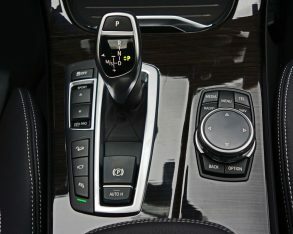 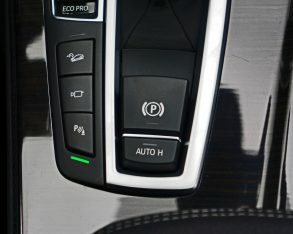 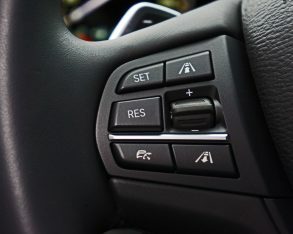 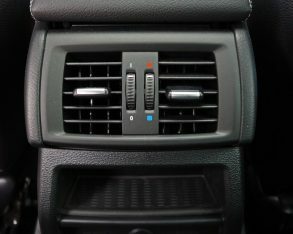 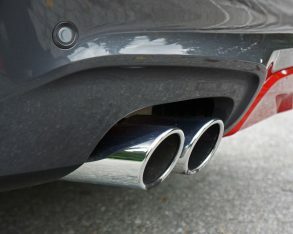 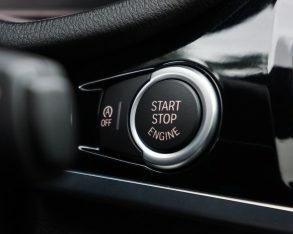 include such leading-edge tech as regenerative braking and idle start/stop on all of its new models, not to mention a blow-by heater that uses residual engine heat to warm up the cabin after the engine temporarily shuts down, or for that matter its extensive lineup of thrifty turbo-diesels, fuel-conscious gas-electric hybrids and new plug-in cars, but rather the very platform architectures the more common of these models ride on. 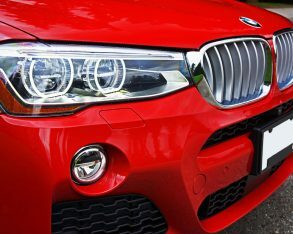 3 Series in its various body styles and slick new two-door 4 Series Coupe and Cab plus four-door 4 Series Gran Coupe. 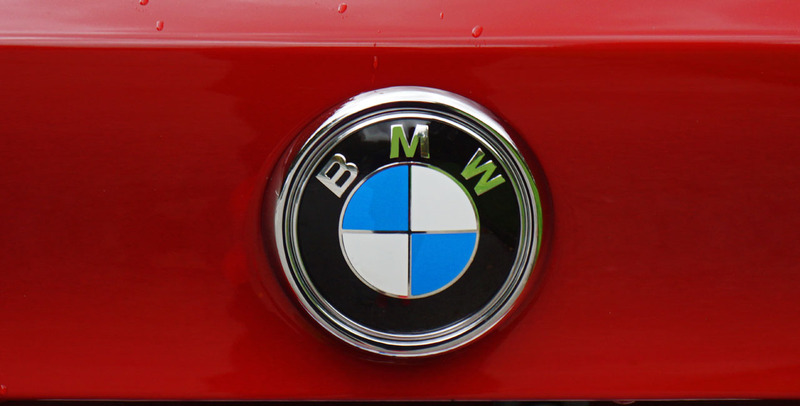 Talk about fully utilizing economies of scale. 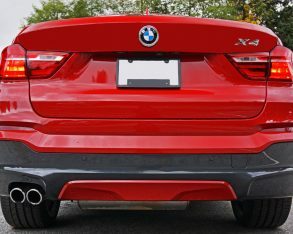 Not including the 2 or X1, there’s a total of eight body styles being built upon the back of what is more or less the 3 Series platform, and I’m guessing we haven’t seen the end of the diversity yet. 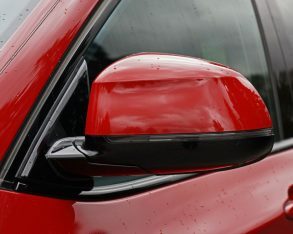 expected, paving the way for a single imitator, Acura’s ZDX, which ultimately failed a rather anonymous death after only four lackluster years on the market (hardly anyone noticed its early departure because there were so few on the road). 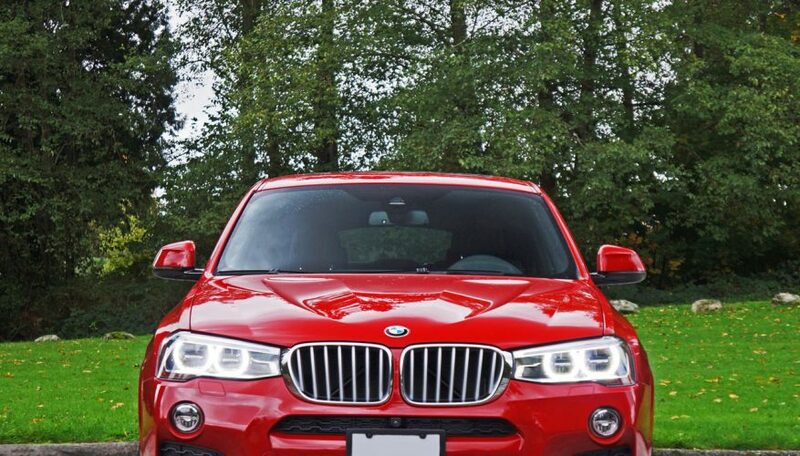 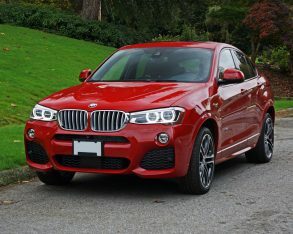 Yet still the X6 powered forward, now in its second generation, looking better than ever and still selling strongly. 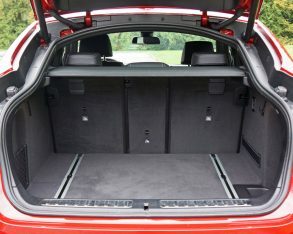 All the more reason to shrink the concept down to X3 dimensions and dub it X4, an SAC for up and comers. 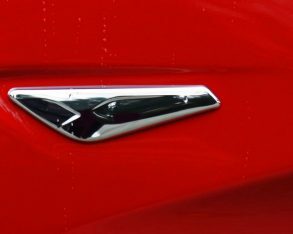 design of the newer model. 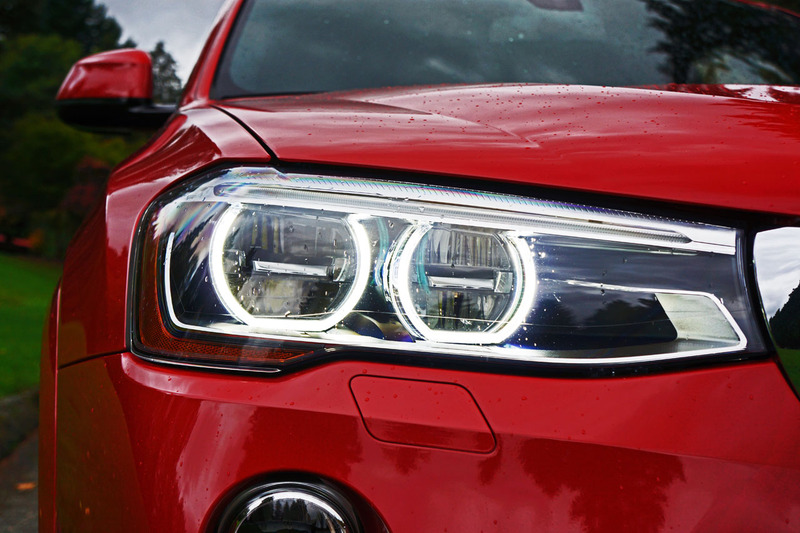 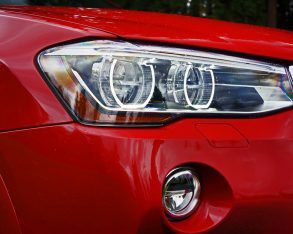 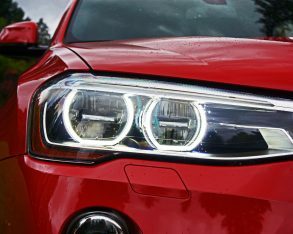 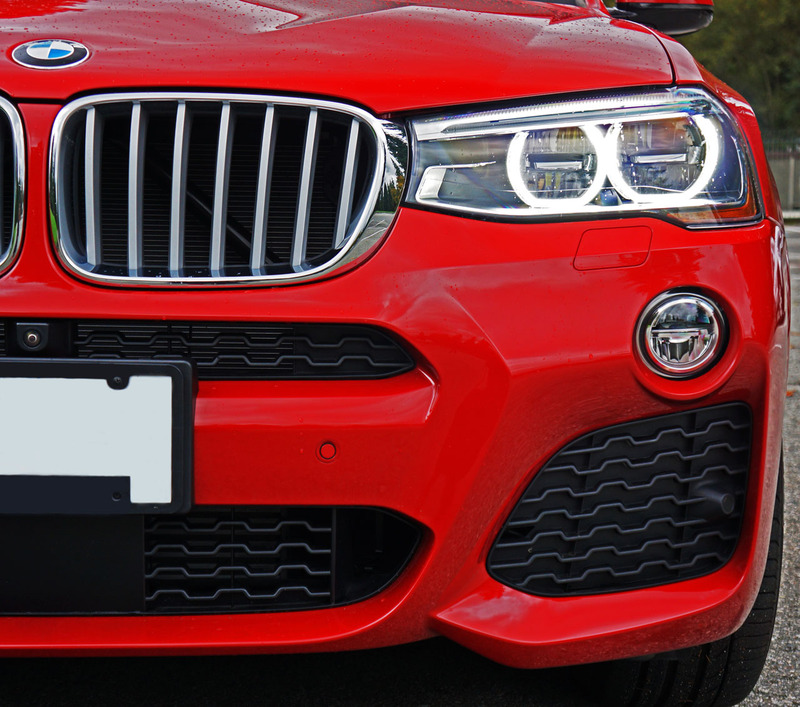 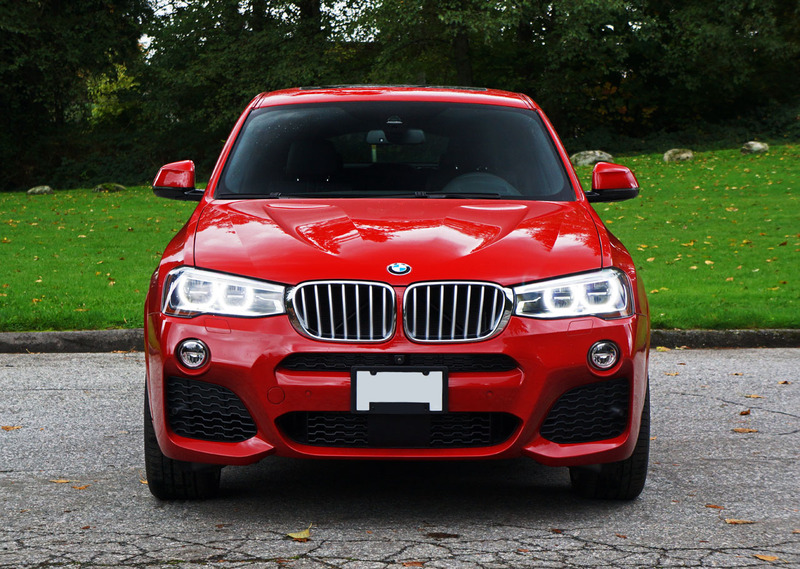 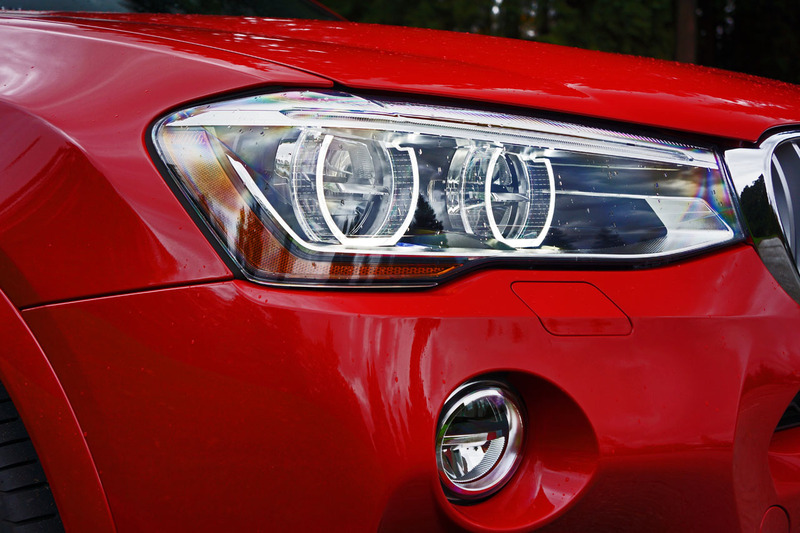 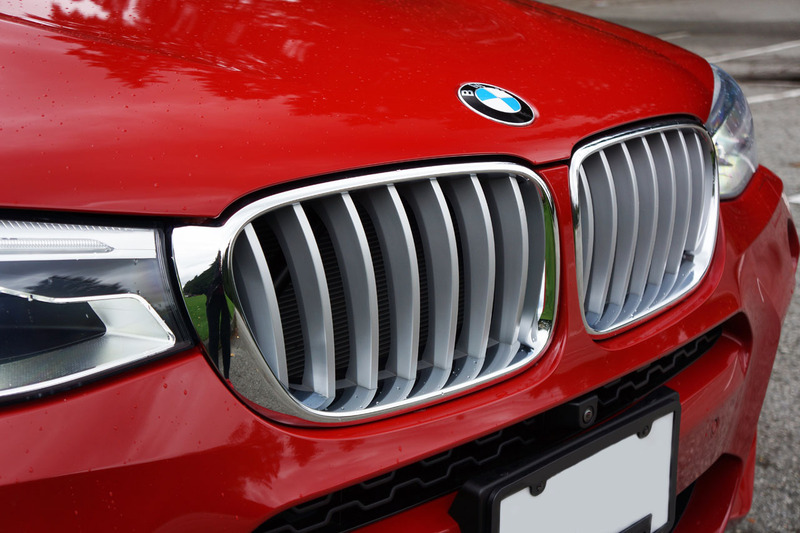 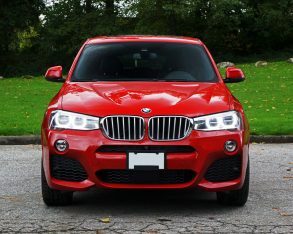 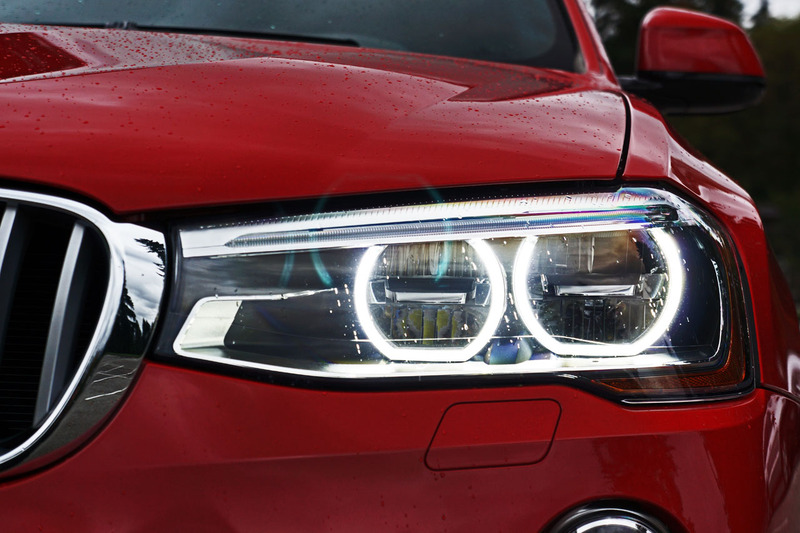 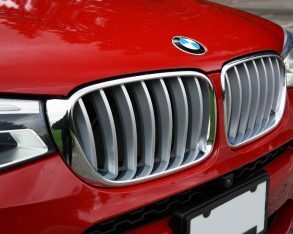 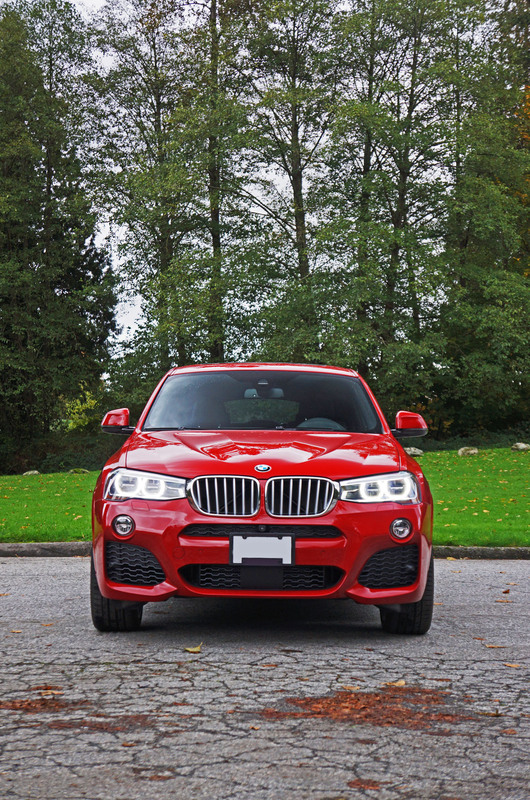 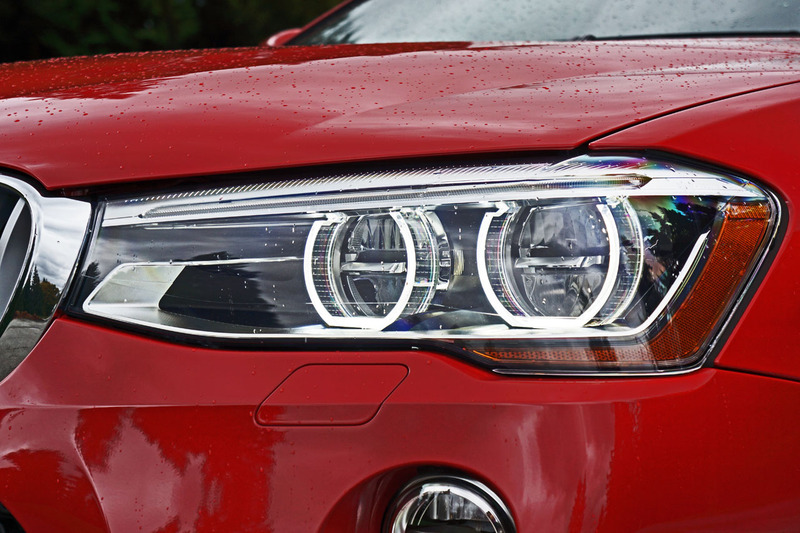 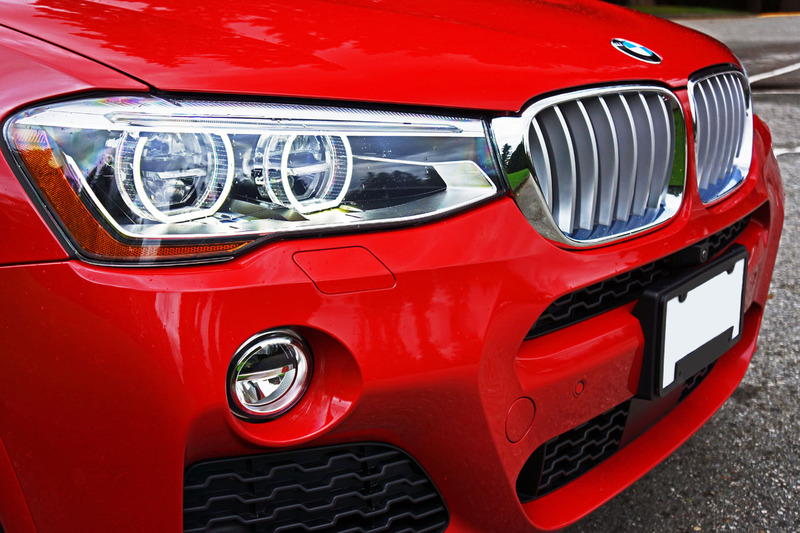 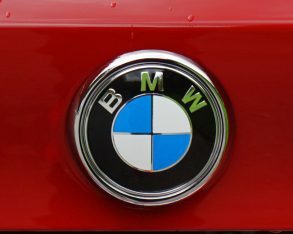 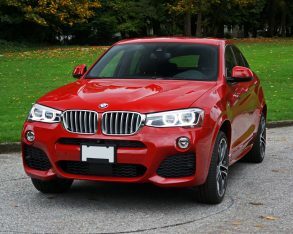 Of course BMW’s twin-kidney grille is front and centre and it looks identical to the X3’s, as do the headlamp clusters other than some additional brightwork detailing inside and extended orange reflectors on their outermost bottom portions, while the circular fogs just below are exact copies of those on the more conventional crossover. 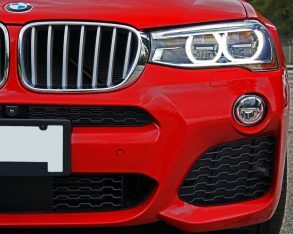 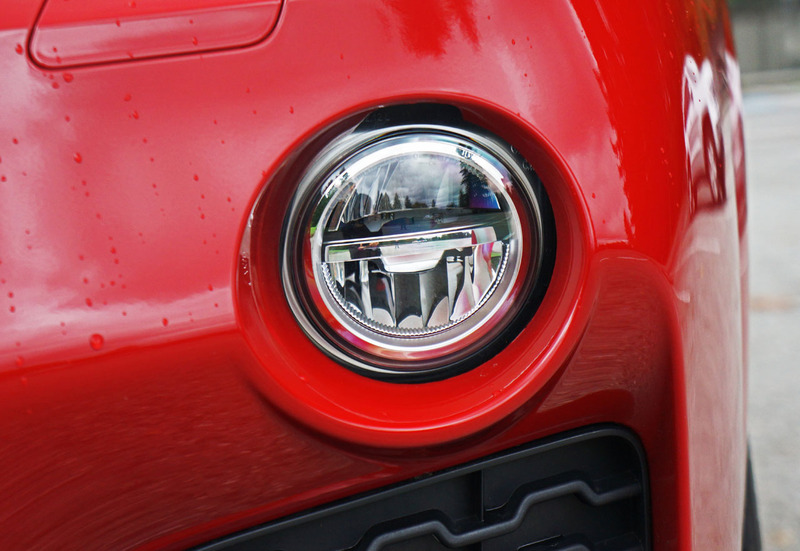 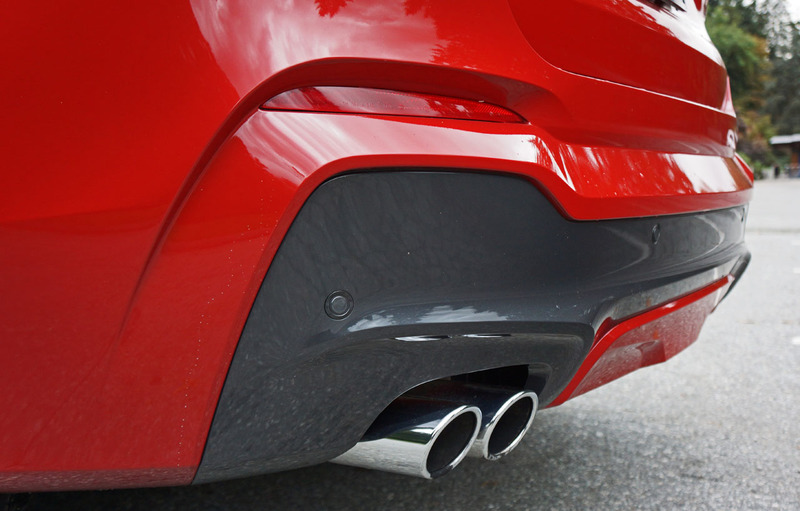 The most noticeable changes up front occur on the lower fascia, where larger air intakes deliver a sportier character, complemented with a big trapezoidal centre intake bisected by a body-colour bumper section that holds the license plate frame. 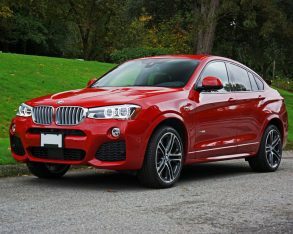 the X4) looks identical, and also includes the X4’s small fender flairs and body-colour lower regions, so it’s not until the roofline starts to lean downward at the halfway mark and, from profile, about two-thirds of the way through the rear doors that the X4 takes on totally unique design elements. 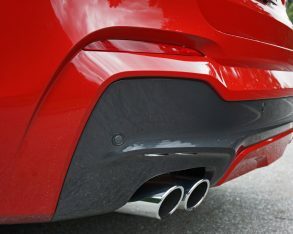 This is where an additional swage line bends around and then overtop the rear wheel arches before joining up with a set of totally restyled L-shaped taillights, the former adding a major dose of visual muscle. 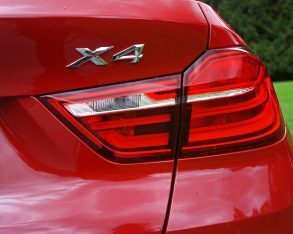 As you might expect, the X4’s hind end is where you’ll see the biggest departure from its X3 sibling and any other BMW model. 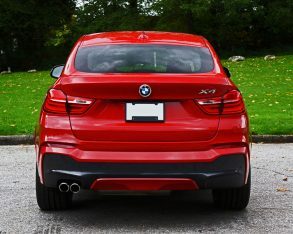 It’s completely unique in its own sporty way, highlighted by those taillights I just mentioned plus a diffuser-like lower fascia, although all of the German brand’s character traits are plainly visible so it can’t be mistaken for a product from any other constructor. 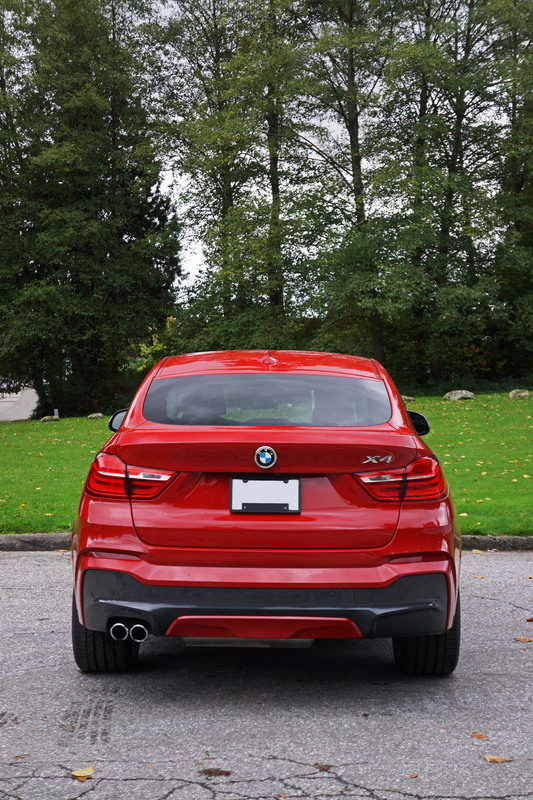 piquing my interest while parked, the X4 completely sold me on the road. 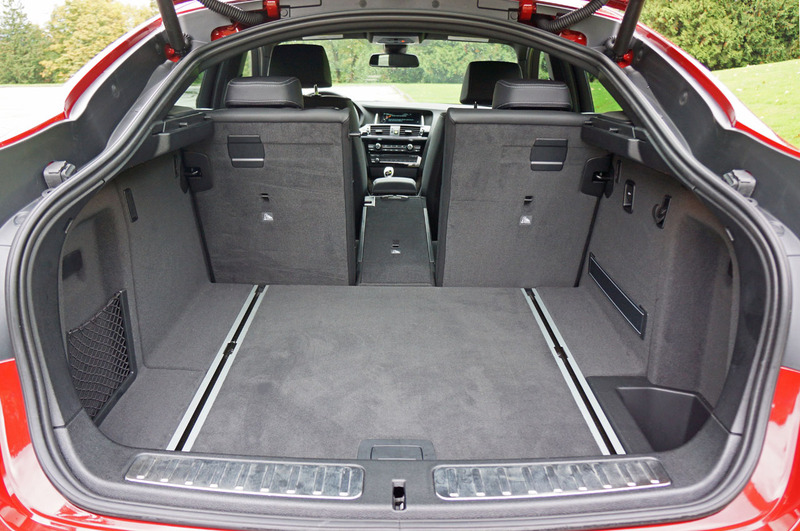 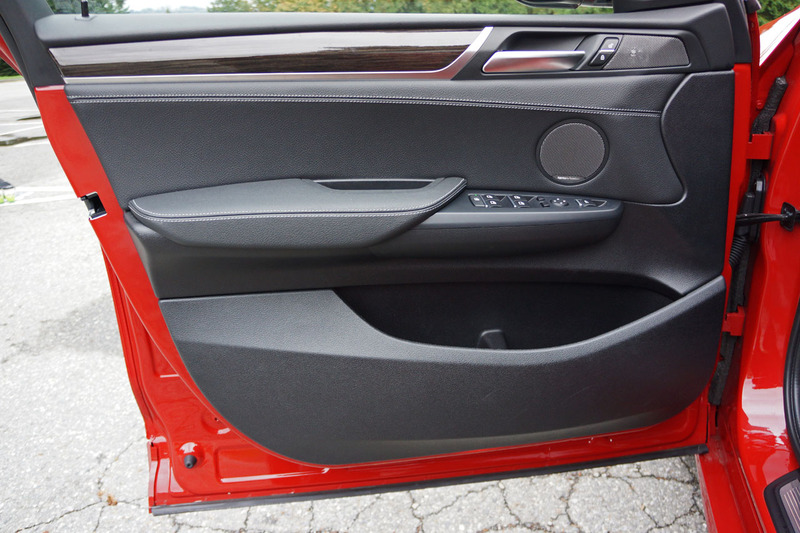 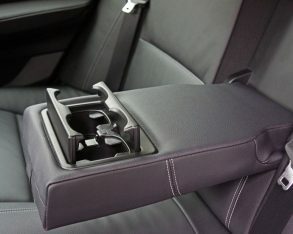 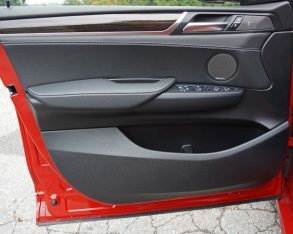 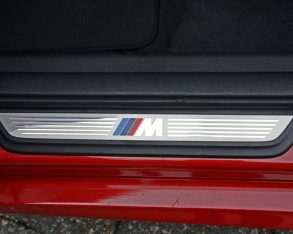 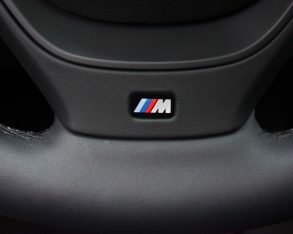 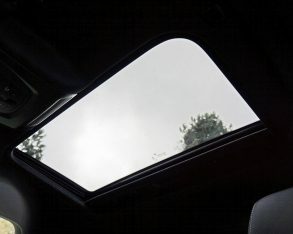 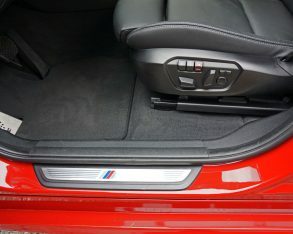 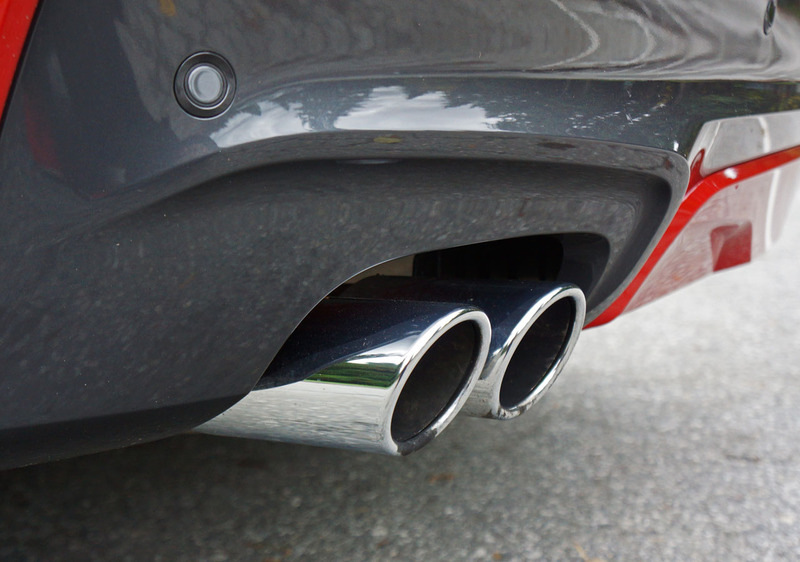 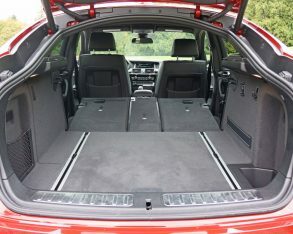 First off, you sit higher than any of the 3 or 4 Series cars, albeit almost an inch (20 millimetres) lower than the X3. 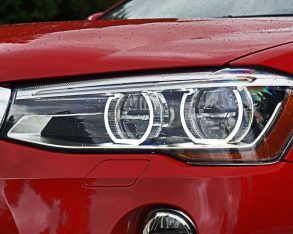 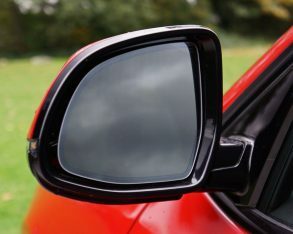 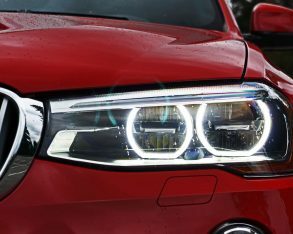 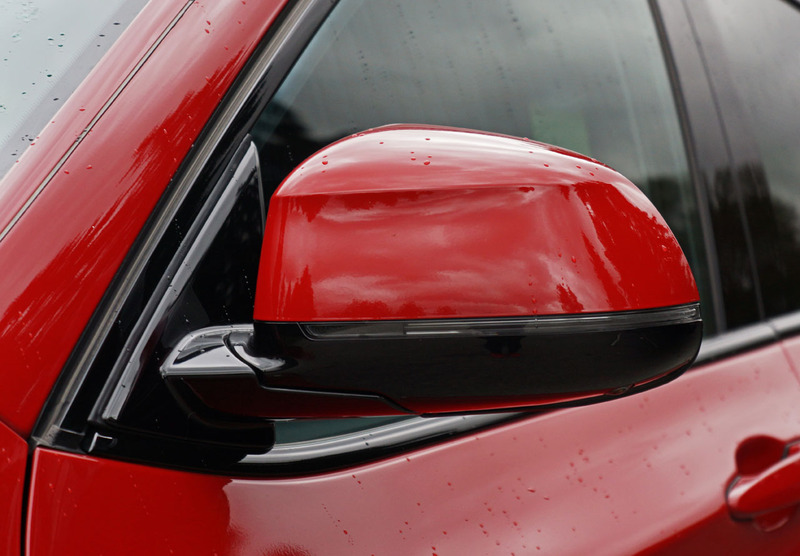 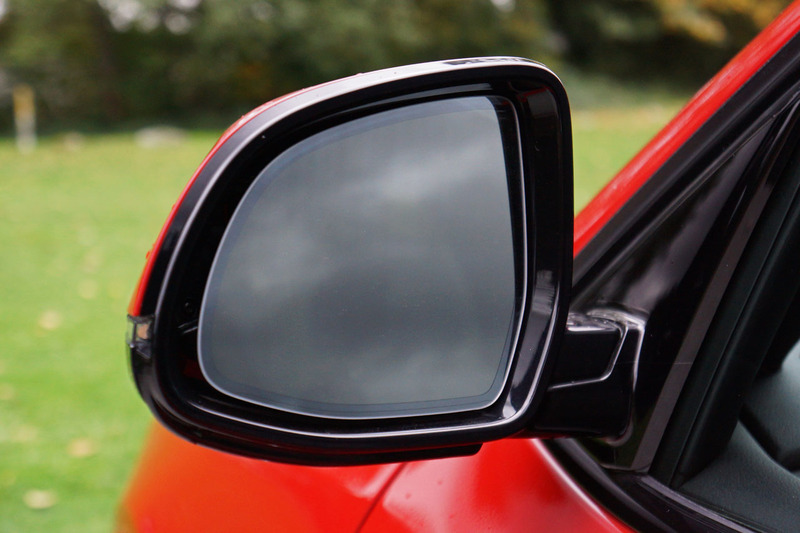 The result is a similar command of the road to the X3 for better visibility and therefore more opportunity for accident avoidance in the city, combined with the type of razor sharp handling offered by one of BMW’s 4 Series cars. 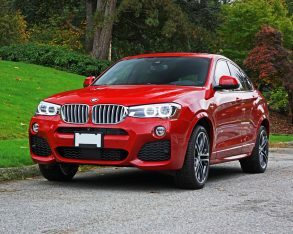 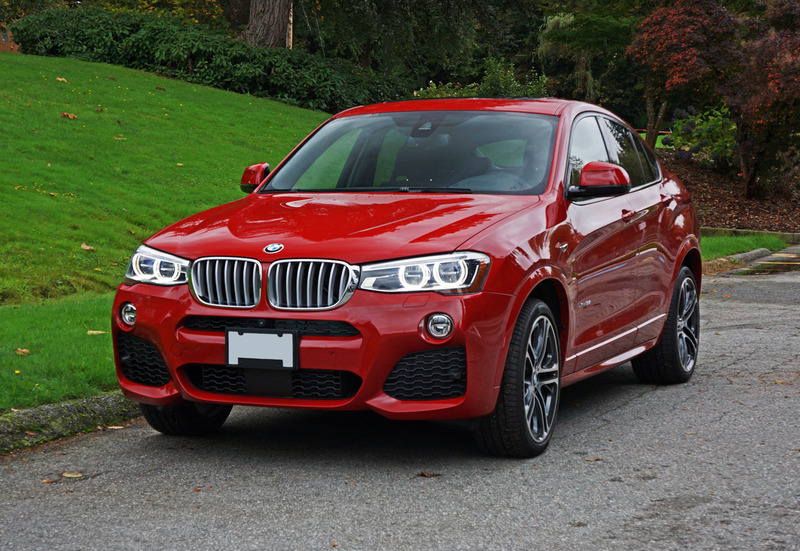 The X4 is seriously strong performer, whether slotting it in and out of heavy inner city traffic or flogging it down a forgotten back road it’s much more engaging than any of its compact crossover competitors – so just in case you were wondering, there’s plenty of punch to back up the X4’s muscled-up swagger. 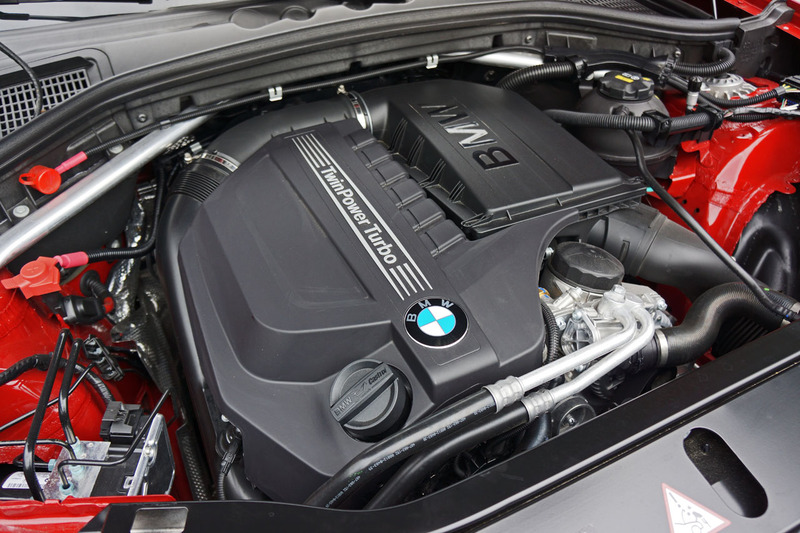 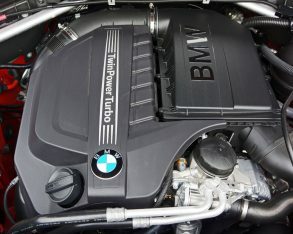 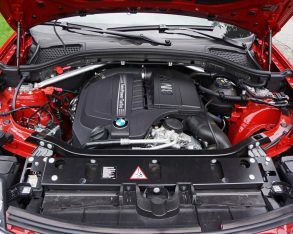 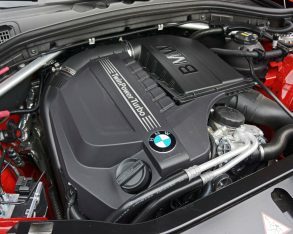 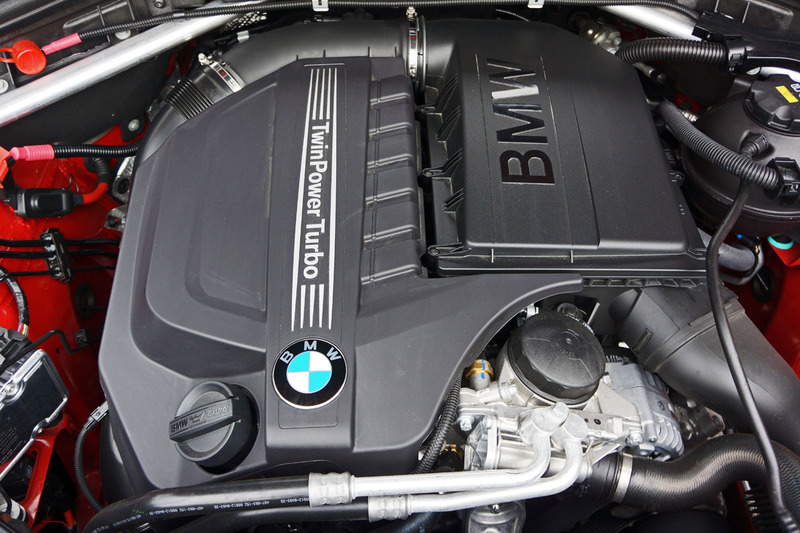 gearbox, the base engine being BMW’s 241-horsepower 2.0-litre direct-injection turbo mated to a version of the same transmission. 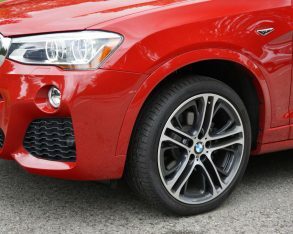 The six delivers quick response to input thanks to 300 horsepower and 300 lb-ft of torque, the latter number achievable from as low as 1,300 rpm, while BMW’s extremely capable xDrive all-wheel drive system made sure all of that torque gripped pavement when called upon. 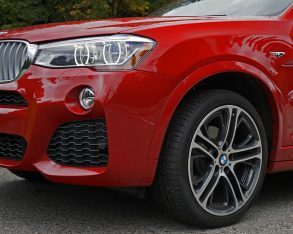 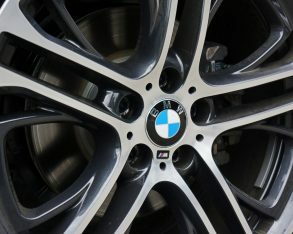 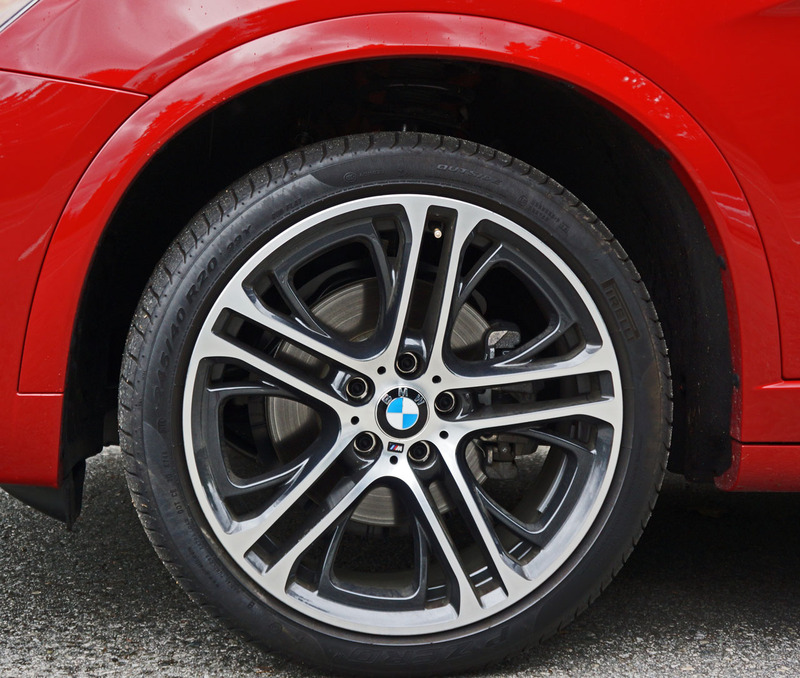 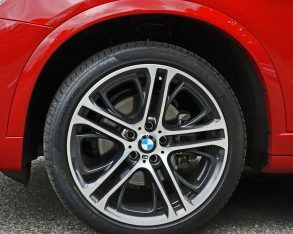 The sophisticated driveline made the most of slippery fall conditions that included wet slimy leaves and deep pools of standing water where you least expect them, while the X4’s standard traction and stability control join four-wheel discs with performance-tuned ABS for absolute control no matter the situation. 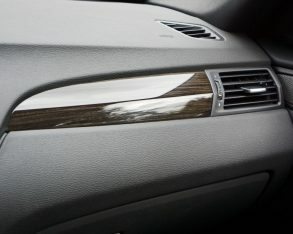 the season’s inclement elements were kept at bay. 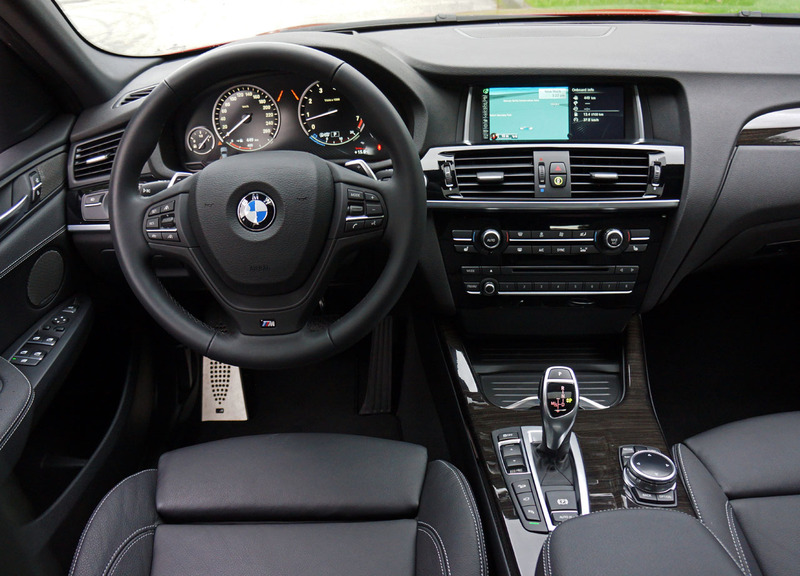 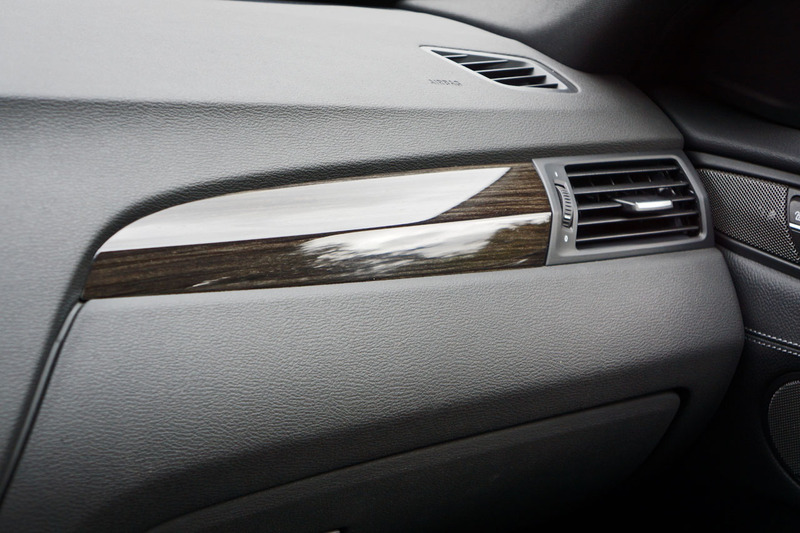 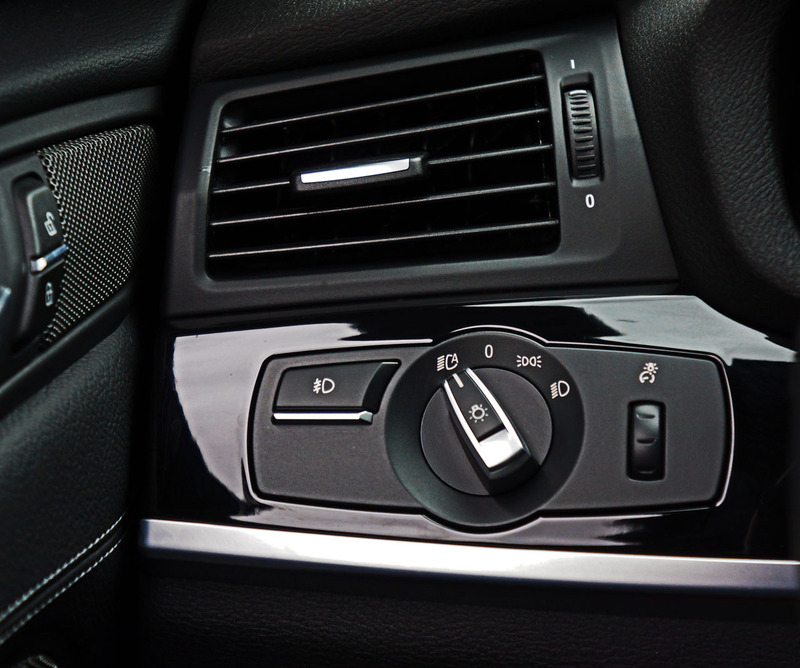 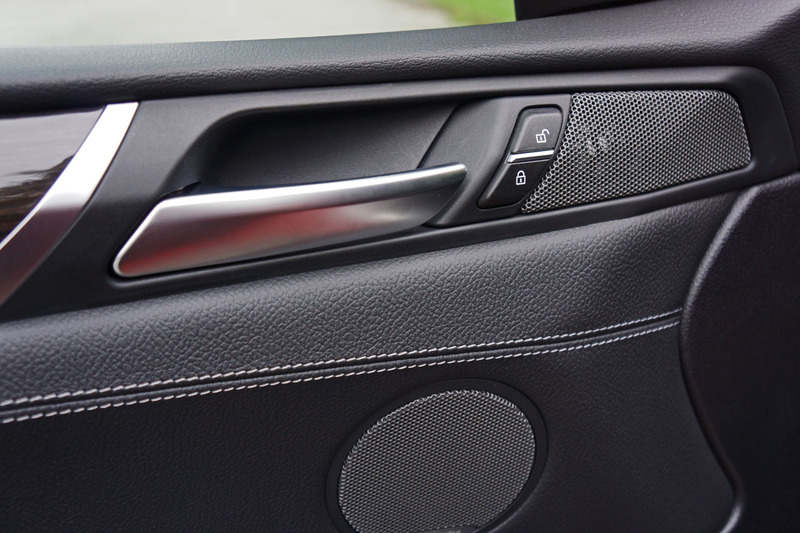 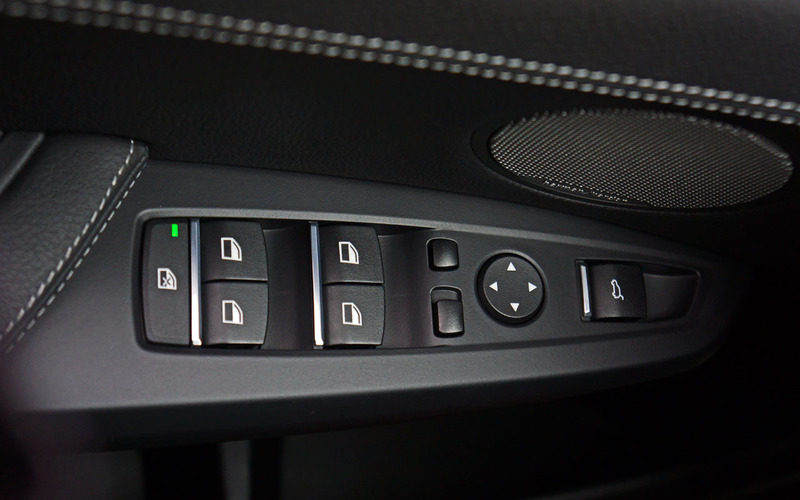 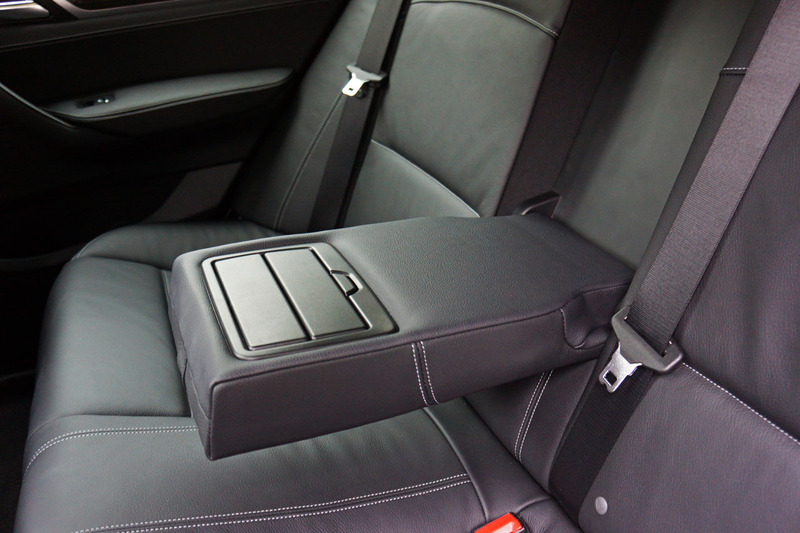 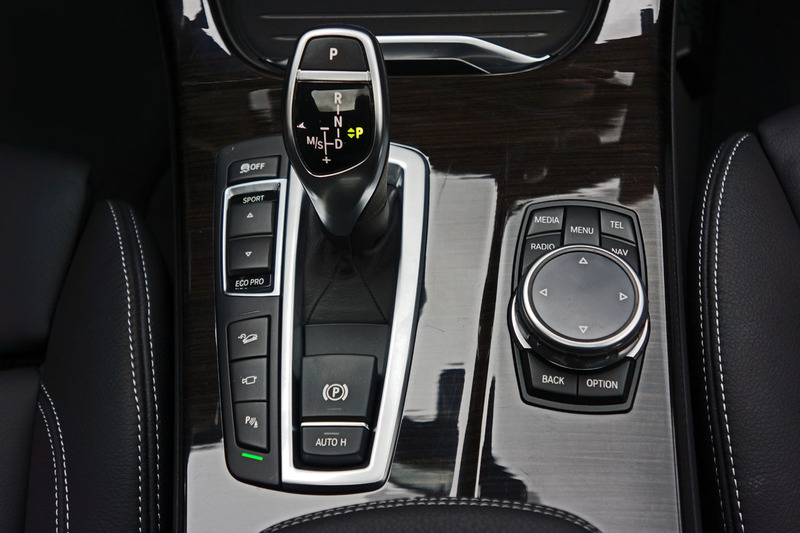 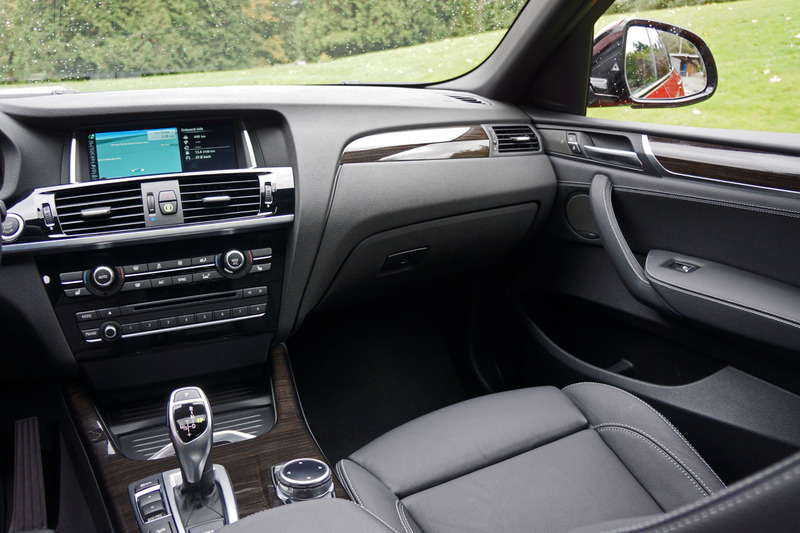 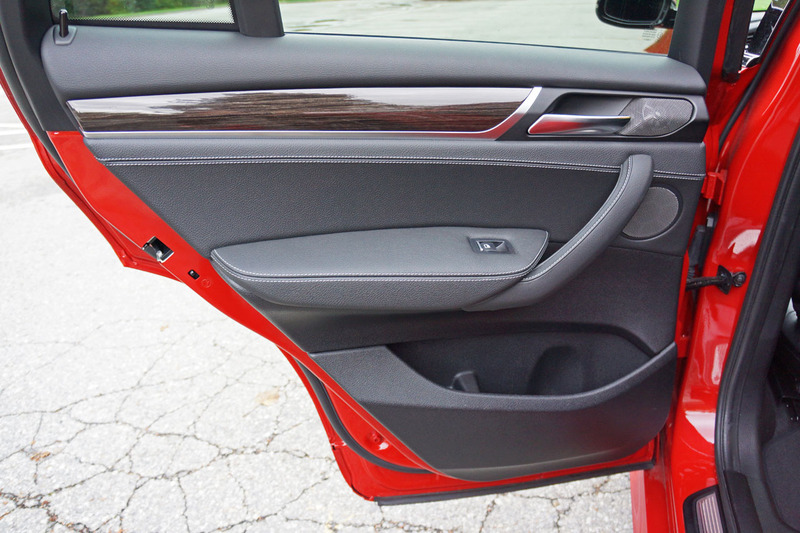 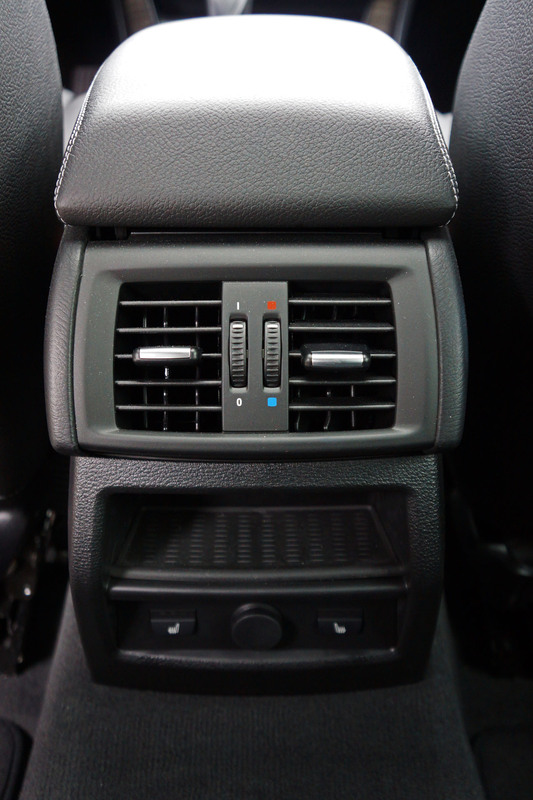 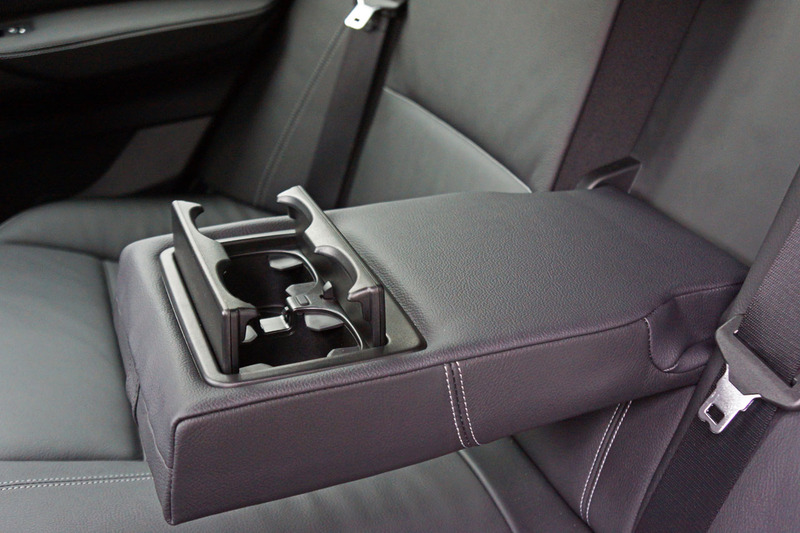 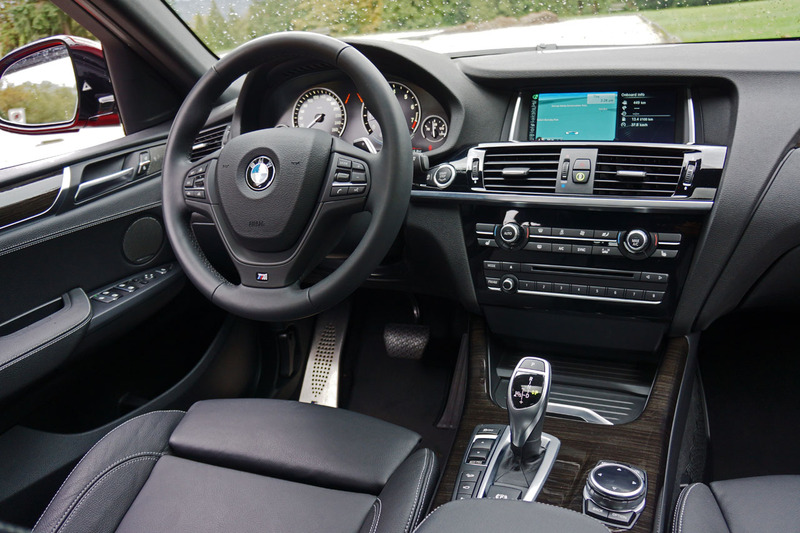 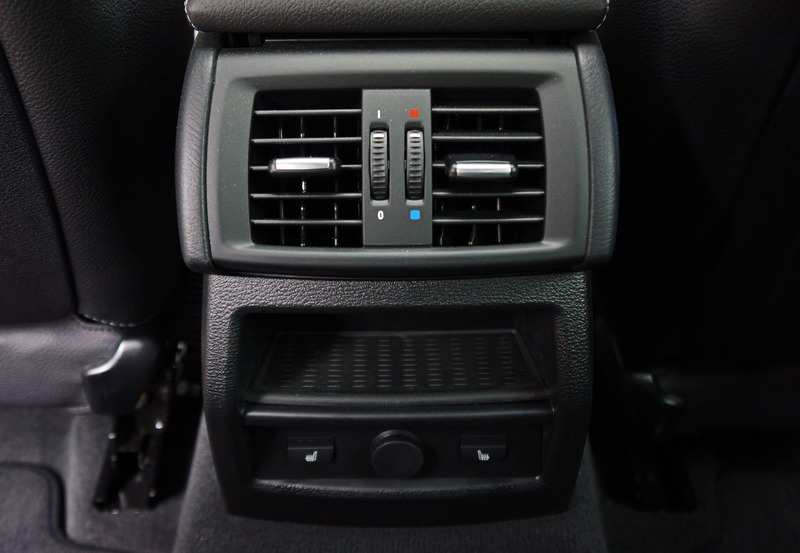 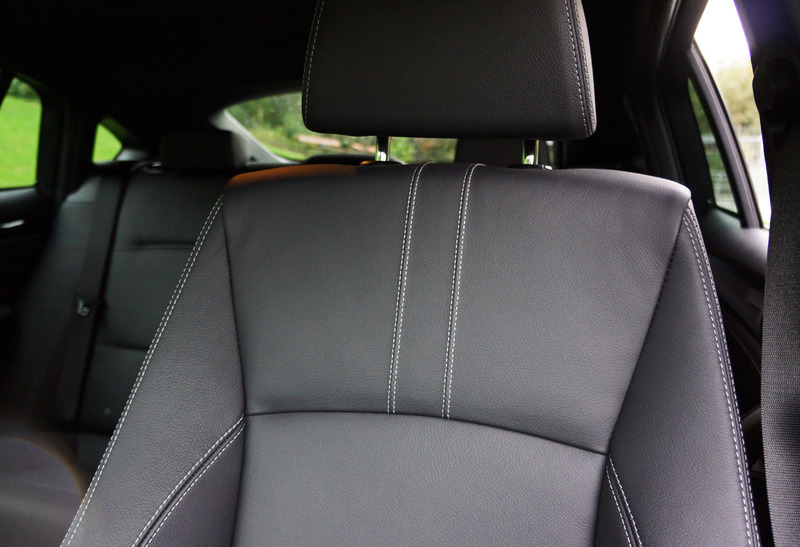 If you’re familiar with BMW’s latest interiors you’ll feel right at home in the X4. 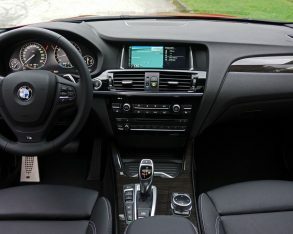 The layout is ideally ergonomic, everything placed exactly where it needs to be for easy, intuitive access, while its build quality and refinement matches that of the new X3. 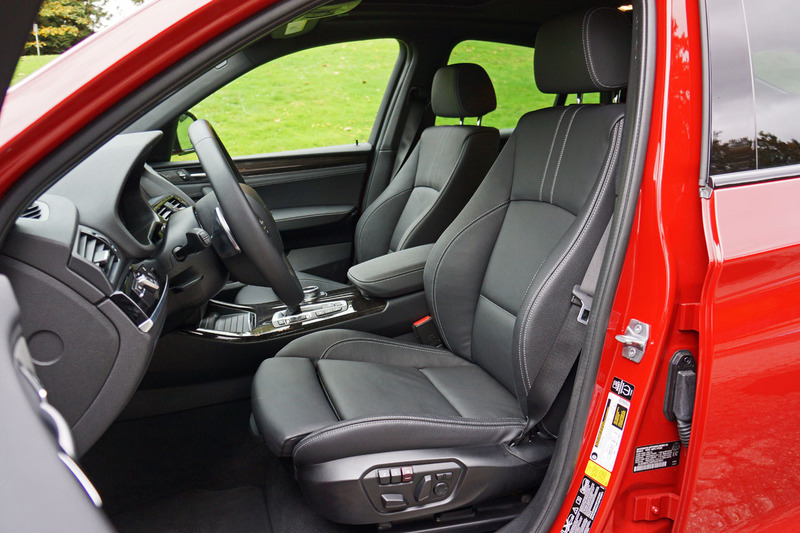 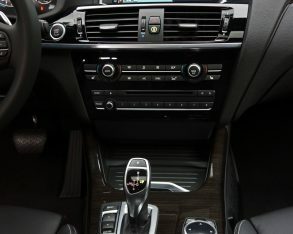 A year ago that wouldn’t have been something worth bragging about, but the new X3’s cabin is beautifully finished with the types of soft touch surfacing, premium-level materials, genuine metals and rich looking natural woods expected in its price range. 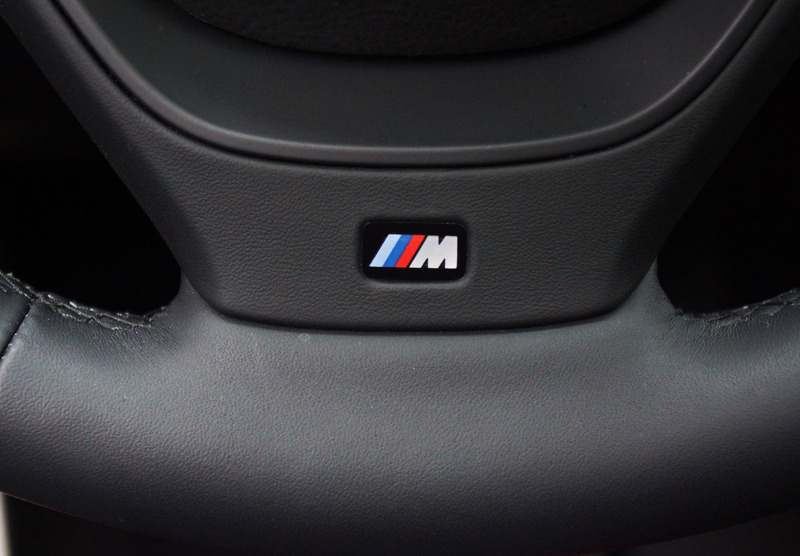 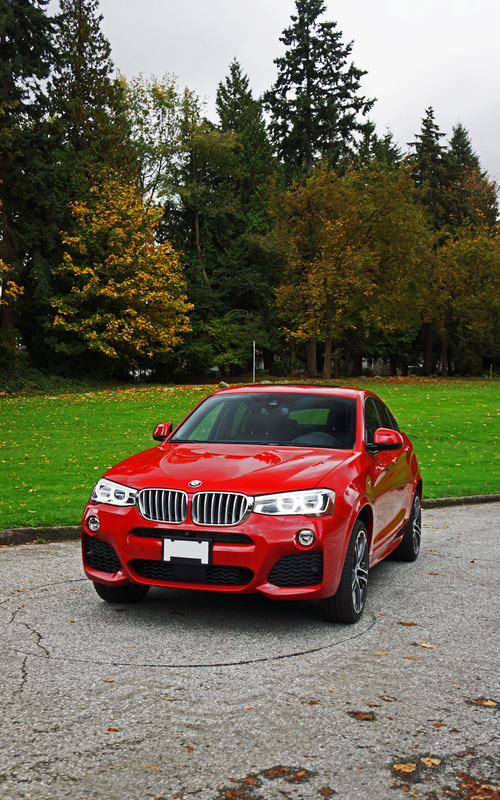 BMW didn’t hold back when outfitting my X4 tester either. 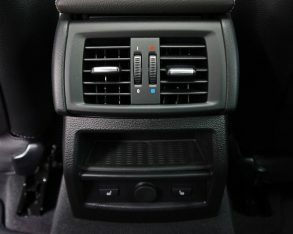 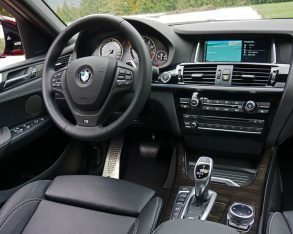 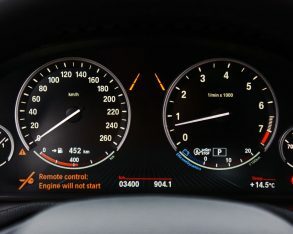 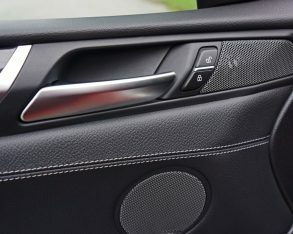 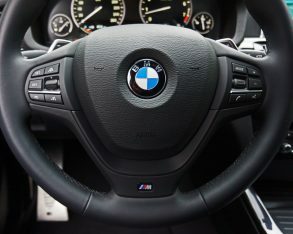 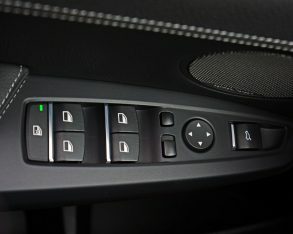 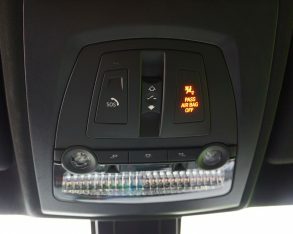 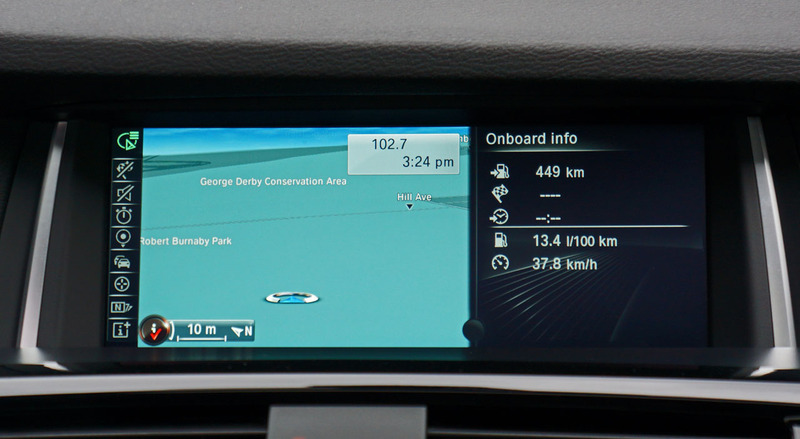 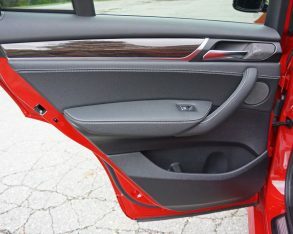 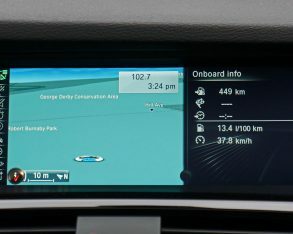 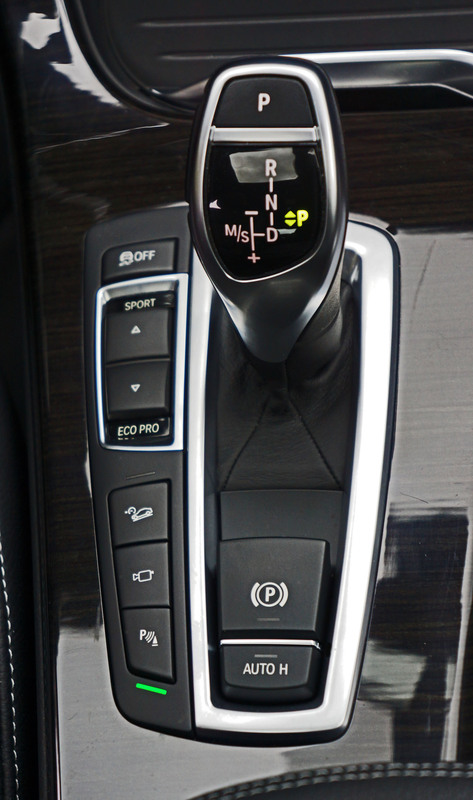 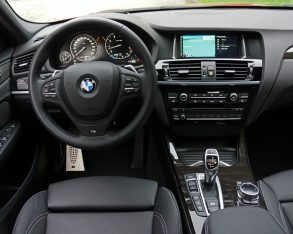 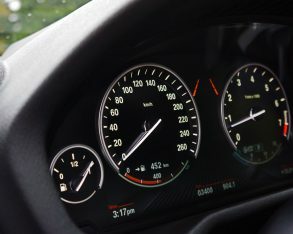 HID headlights, an auto-dimming rearview mirror, rain-sensing wipers, dual zone automatic climate control, display audio with USB integration and Bluetooth connectivity, and a powered glass sunroof, but also a few features not normally included with standard trim such as a sport suspension, variable sport steering, and BMW’s Performance Control that uses the standard dynamic stability control sensors and the braking system to variably distribute torque to the inside wheel during cornering for improved handling. 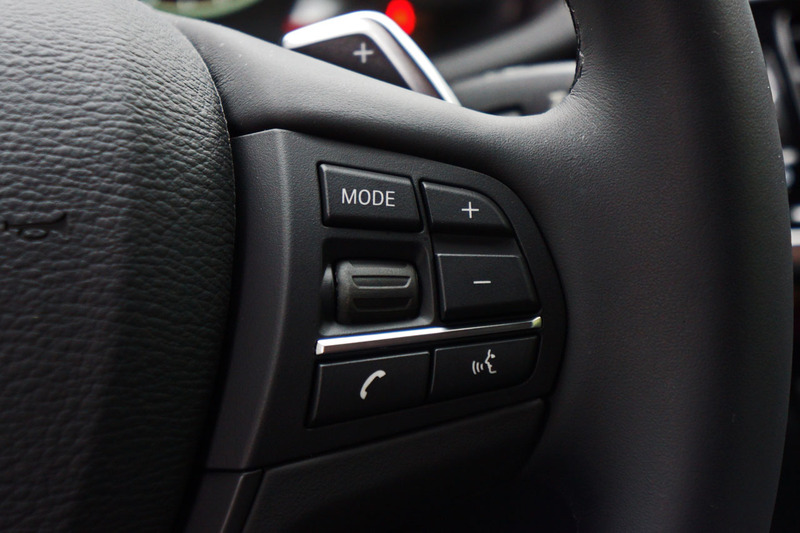 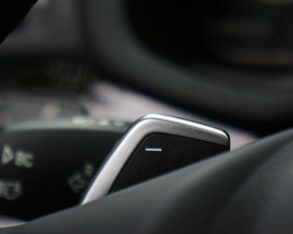 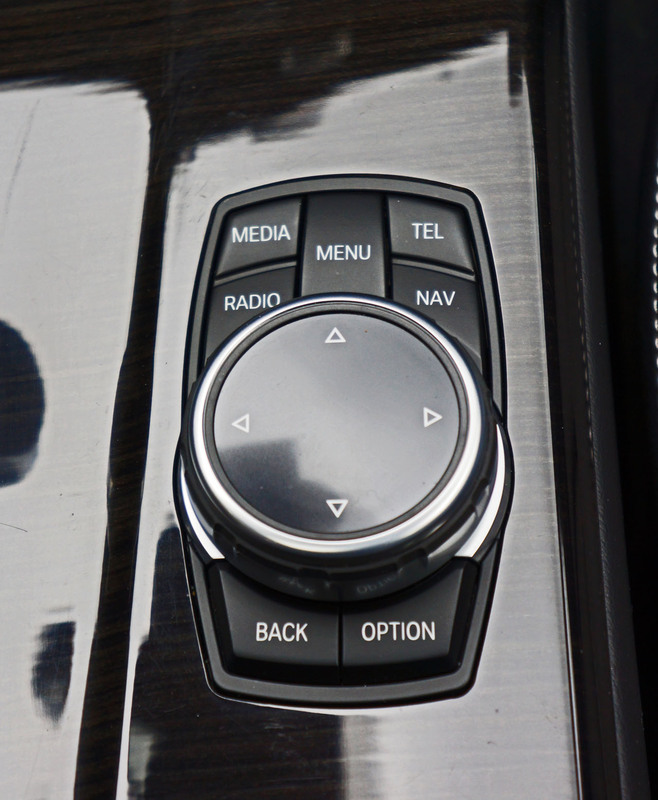 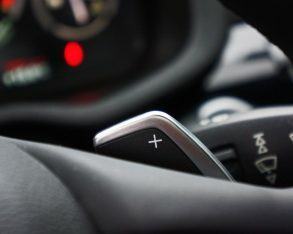 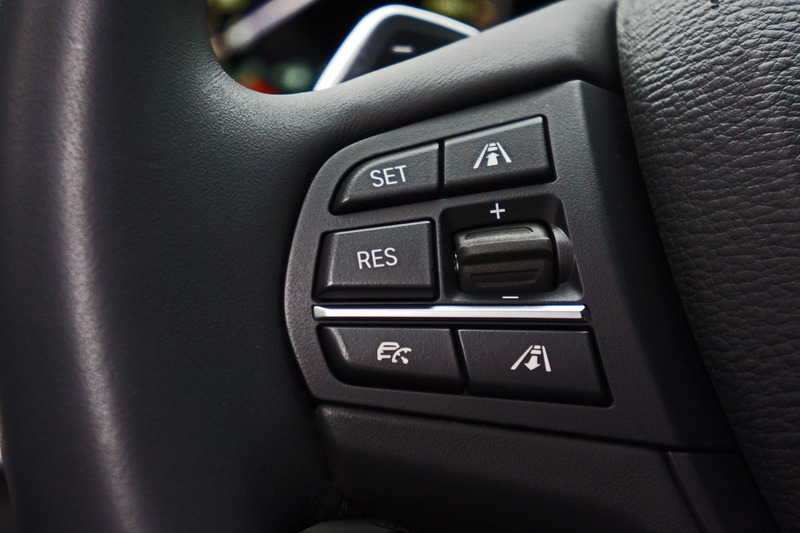 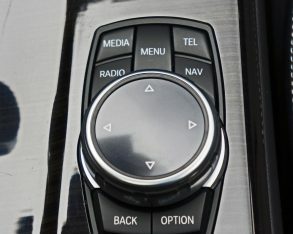 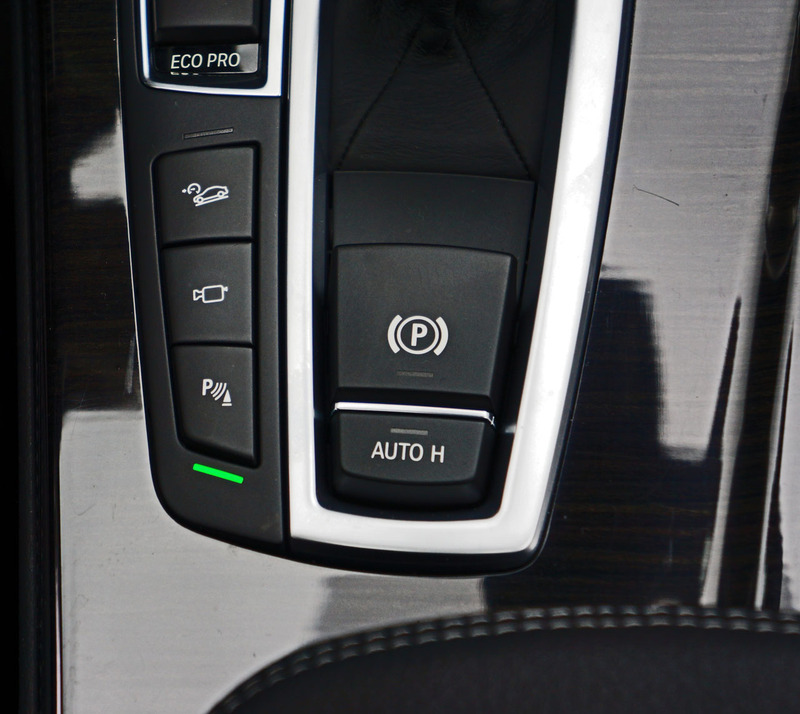 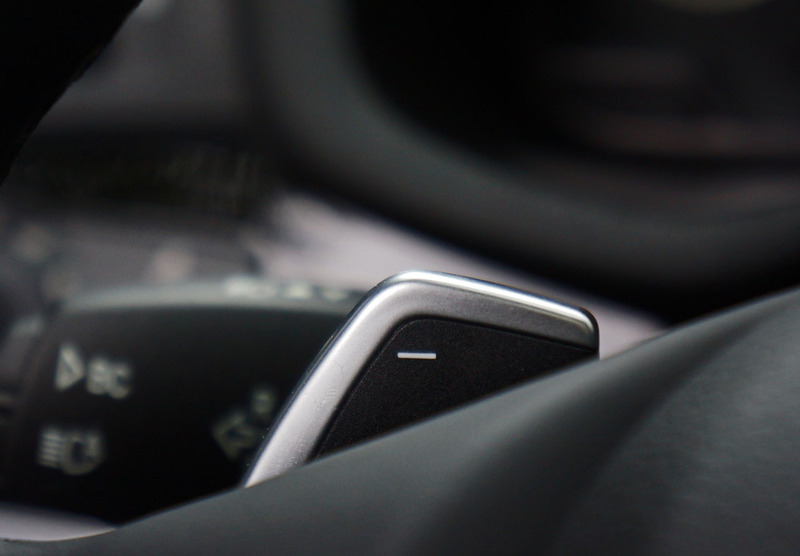 Dynamic cruise control is standard too, as is the brand’s driver-selectable Driving Experience toggle switch with the Eco Pro setting to help the X4 eke out better economy. 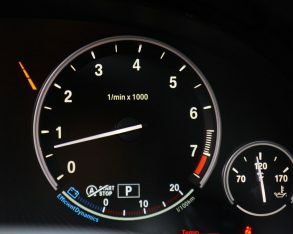 that note my tester was surprisingly efficient for such a performance-oriented and hefty SAC, the 1,873-kilo X4 capable of achieving a claimed 11.8 L/100km in the city, 8.4 on the highway and 10.3 combined. 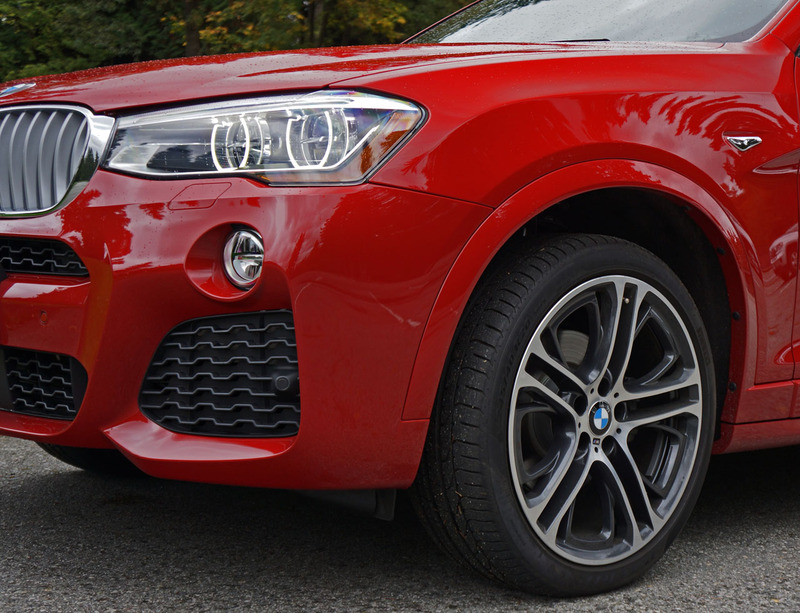 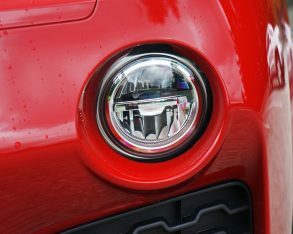 As mentioned in the beginning, the X4 gets a lot of standard efficiency technologies to give it a fuel economy edge over competitors, something I truly appreciate every time I need to refuel. 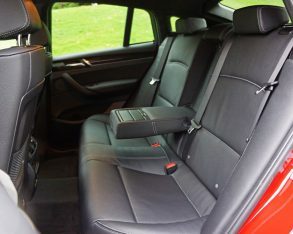 is hardly harsh, although Comfort was appreciated during some inner-city 4x4ing through particularly bad access lanes. 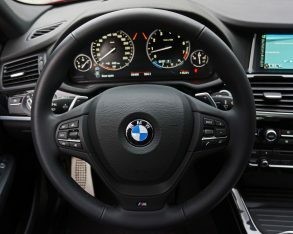 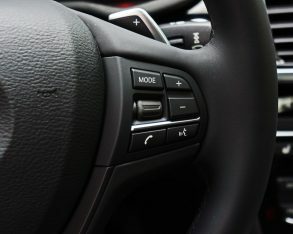 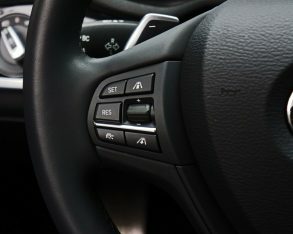 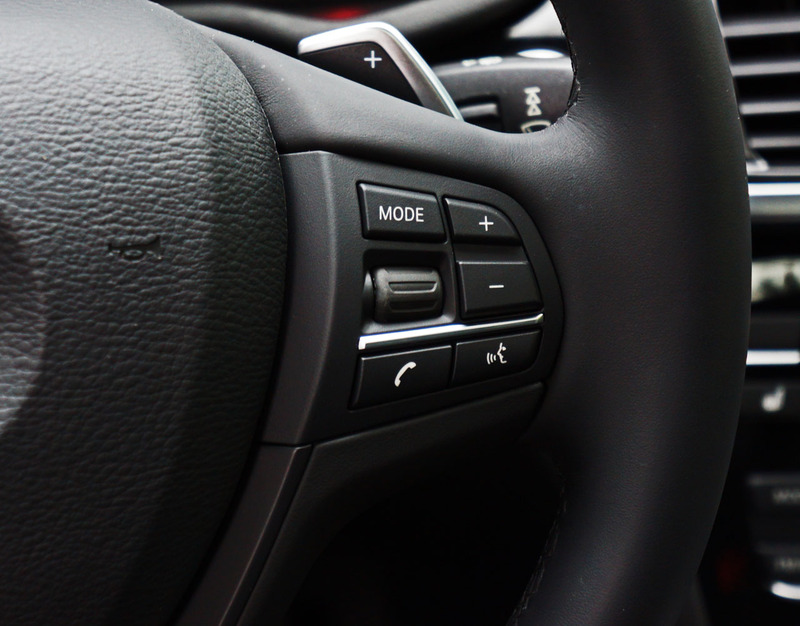 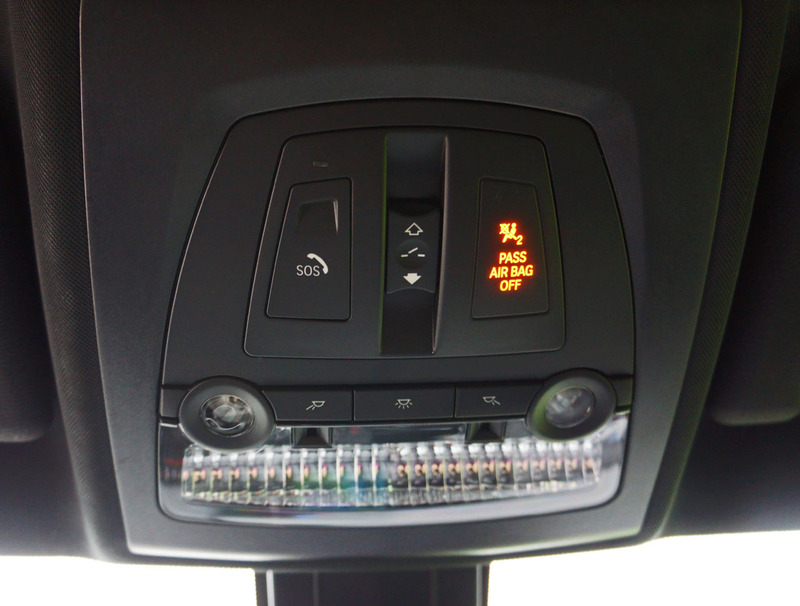 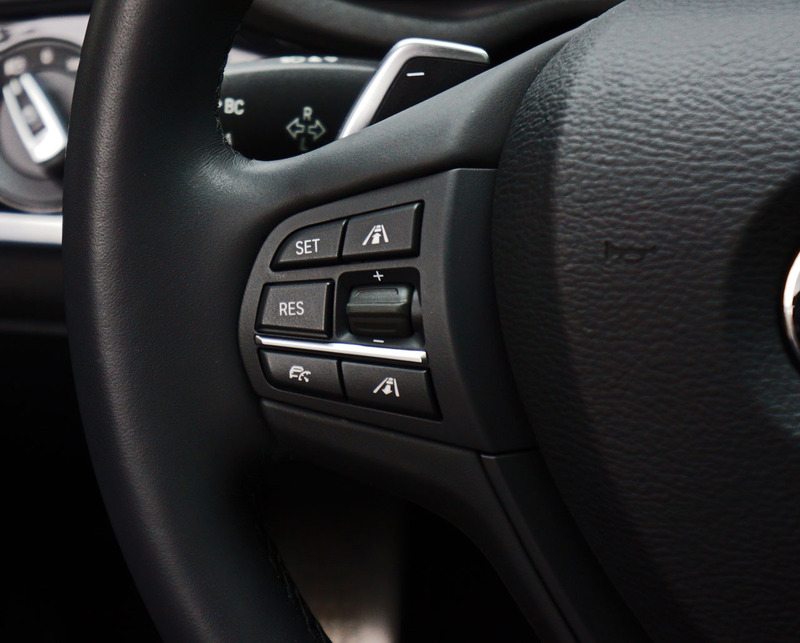 steering wheel, while a $2,000 Lights Package featured active LED headlights and high-beam assist. 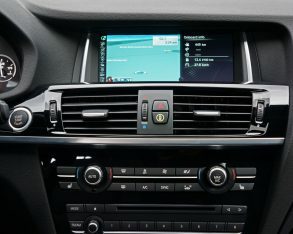 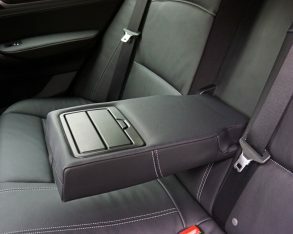 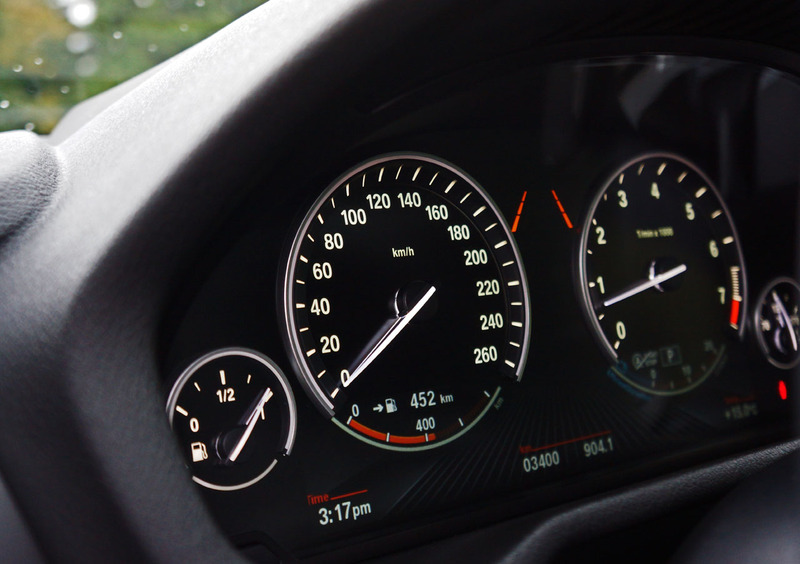 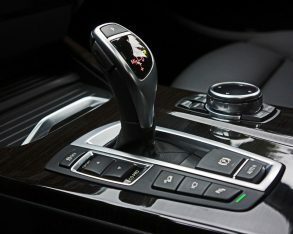 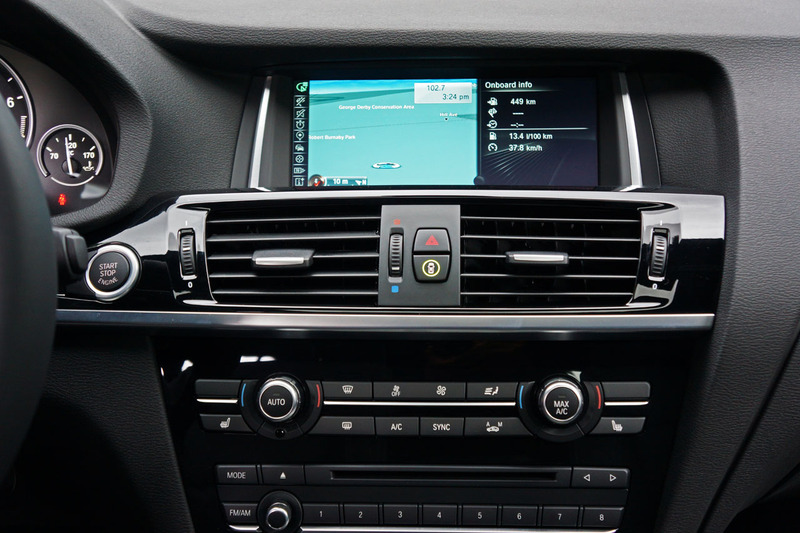 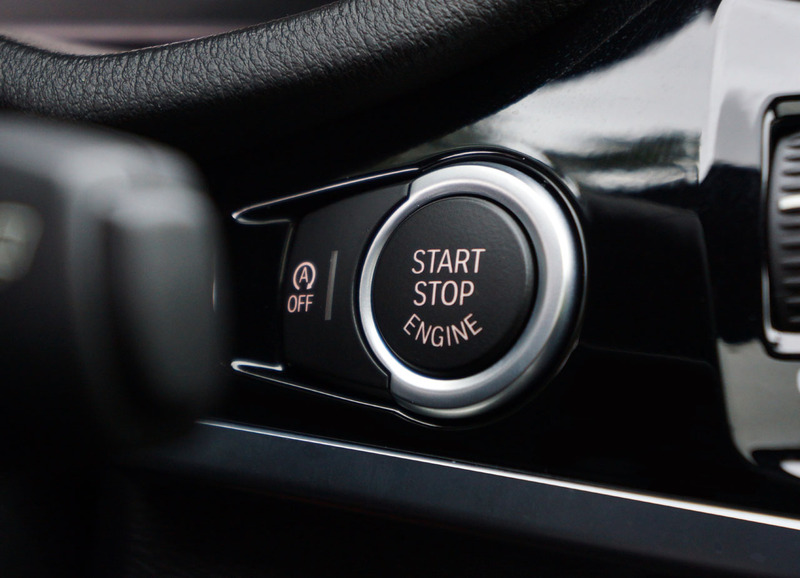 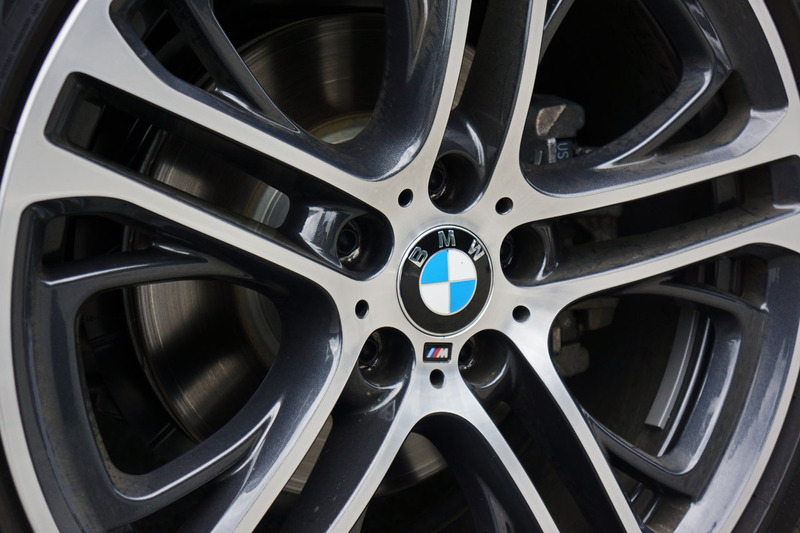 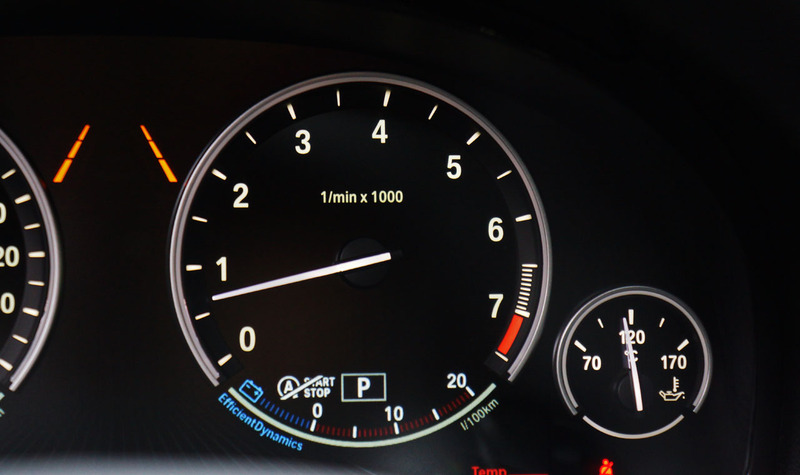 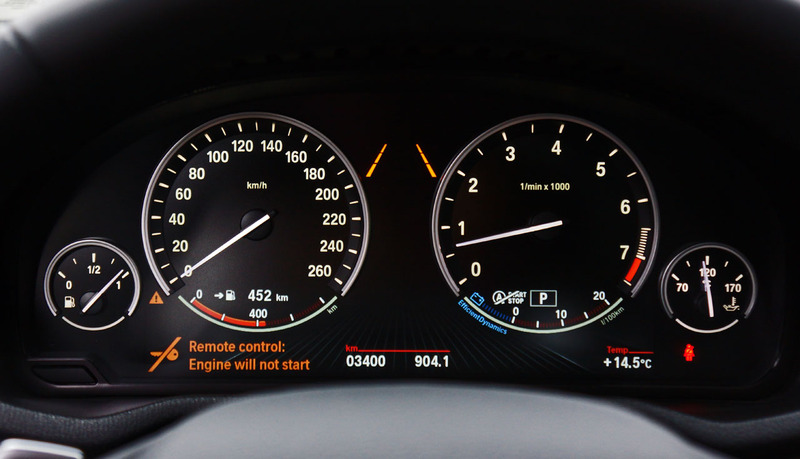 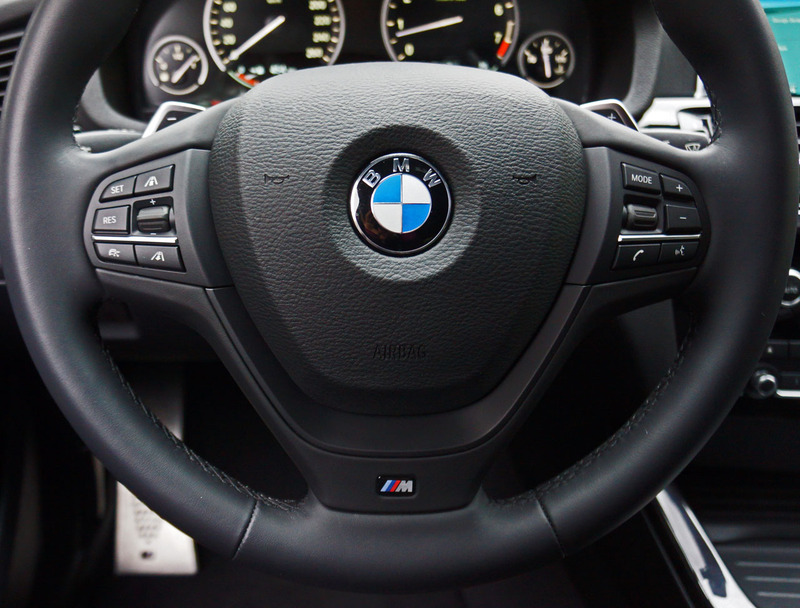 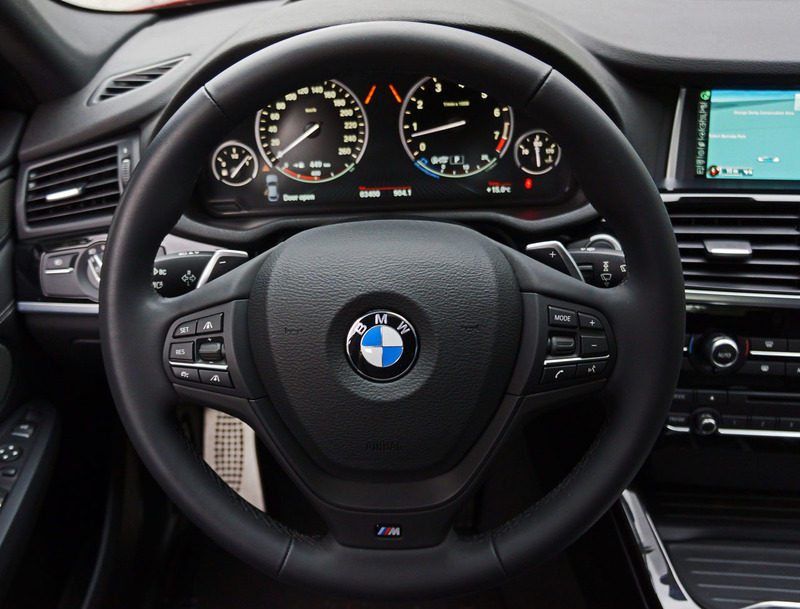 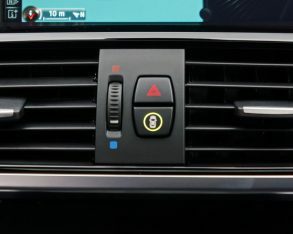 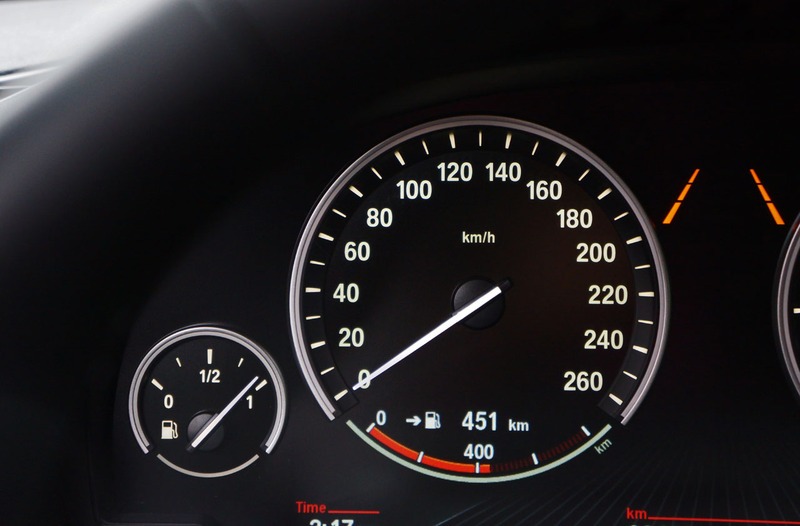 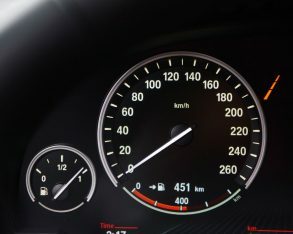 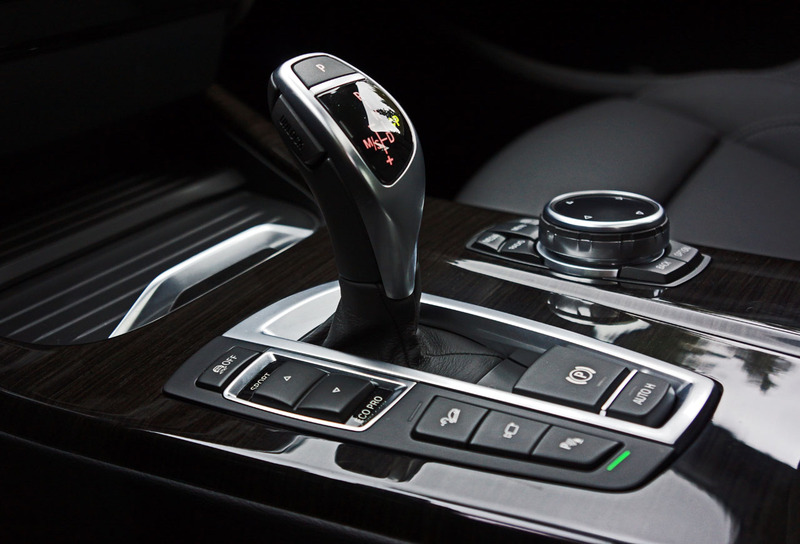 This last group of options automatically signs you up for BMW’s $500 ConnectedDrive Package that features Advanced Real Time Traffic Information, Internet access, BMW Online & BMW Apps, Remote Services, Concierge Services, and more. 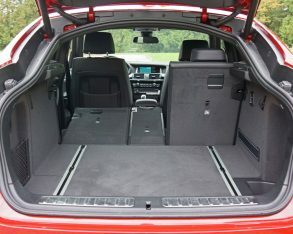 Lastly, my X4 tester included a $300 Storage Compartment Package that includes luggage nets on the front seatbacks, under the centre console on the passenger side and on the left side of the cargo area, plus two cargo rails with four fastening points on the cargo area floor, a reversible cargo mat, various multi-purpose hooks, and a tensioning strap. 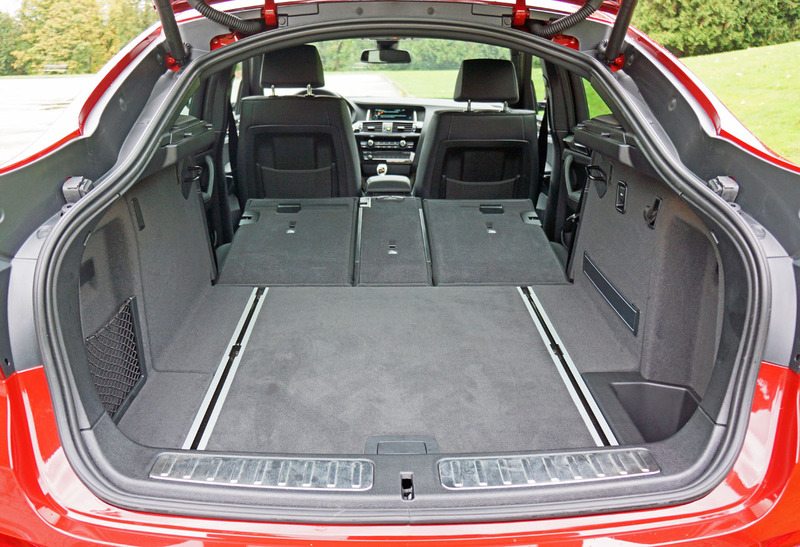 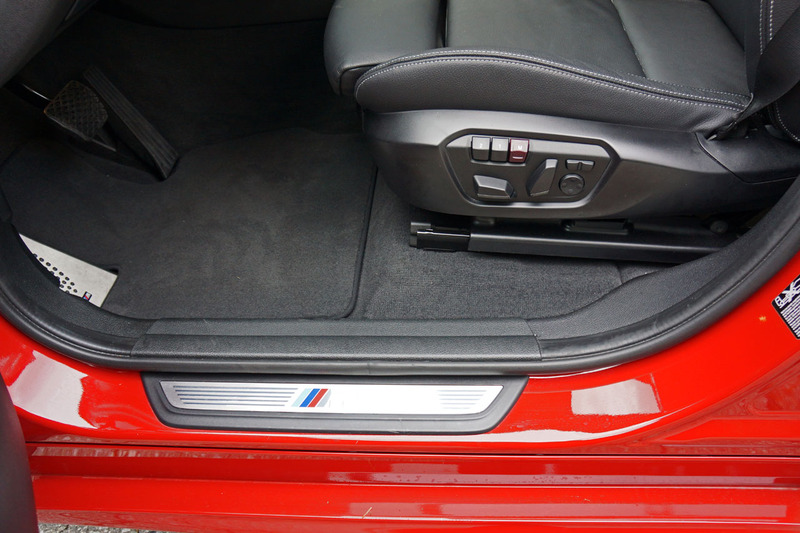 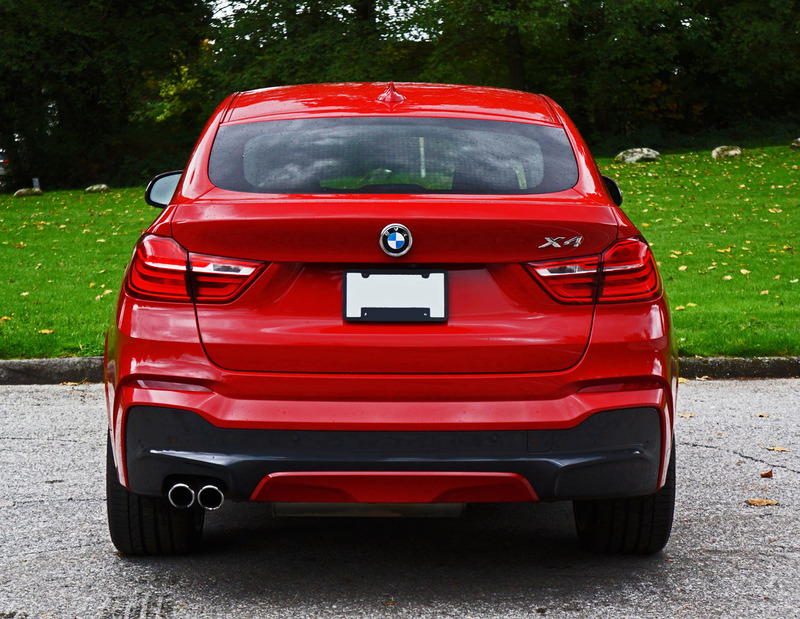 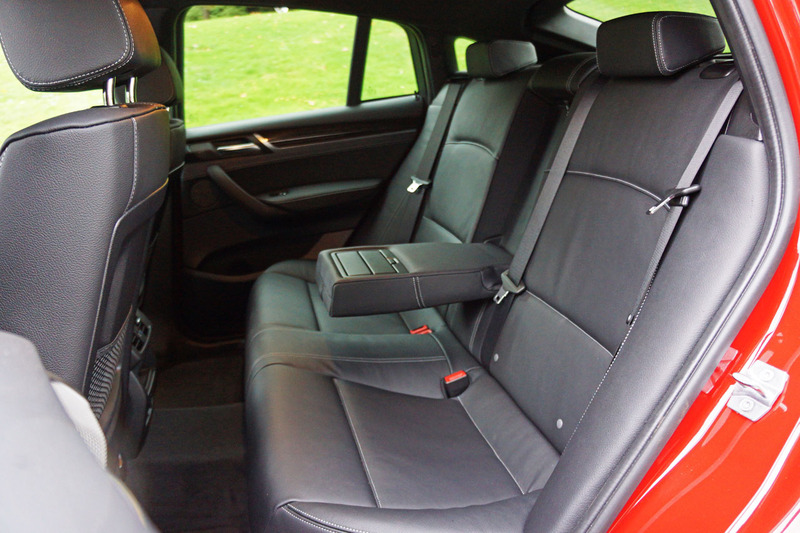 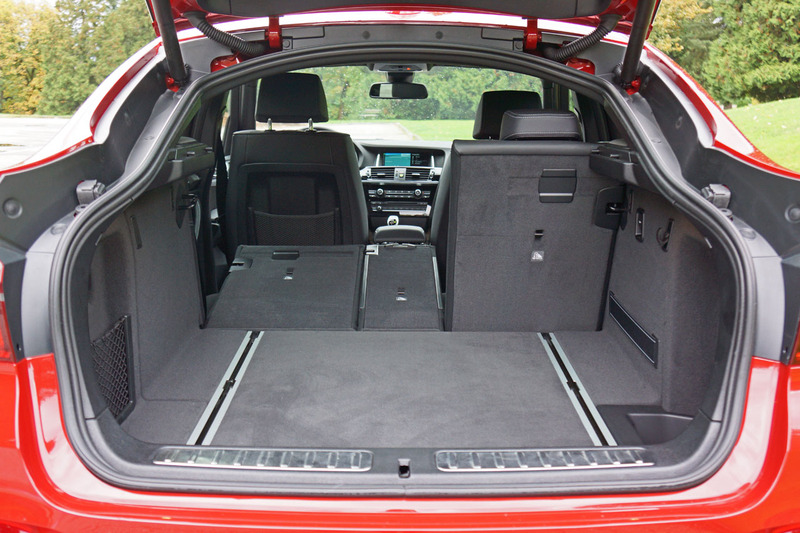 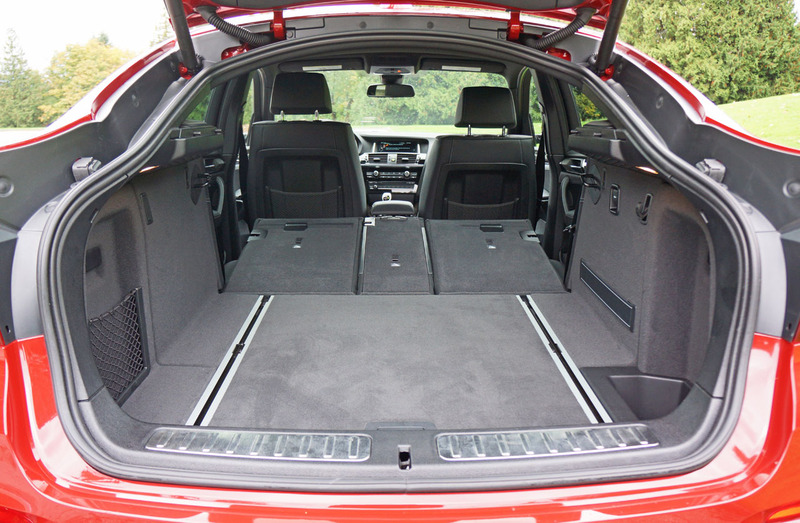 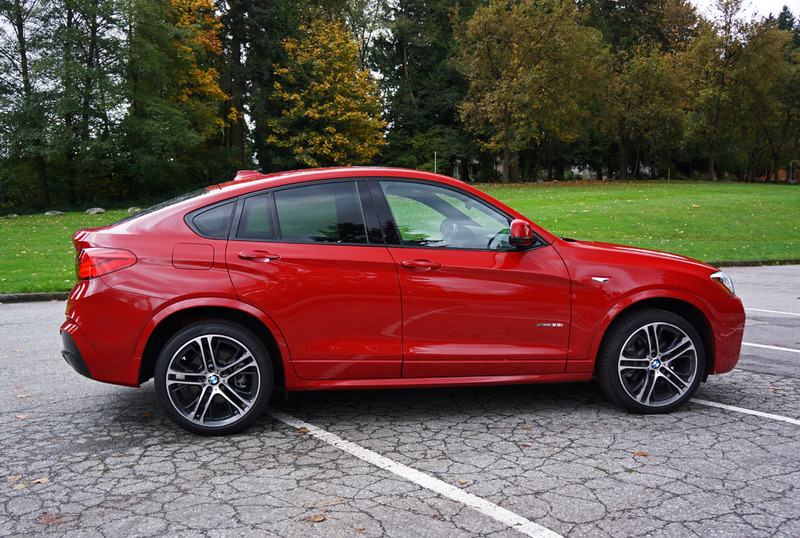 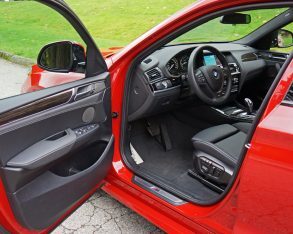 happily with 3 Series sedans, and compared to these the X4 delivers loads of extra utility behind the rear seatbacks. 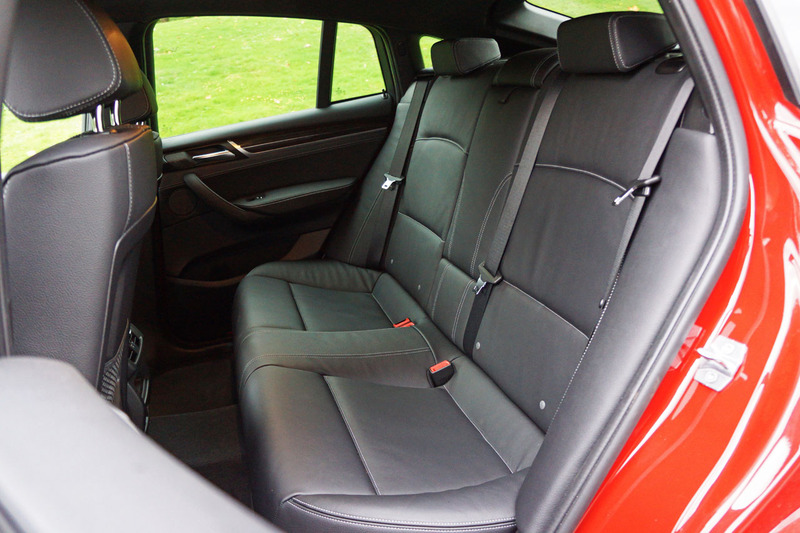 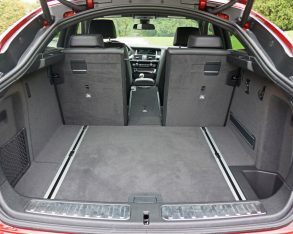 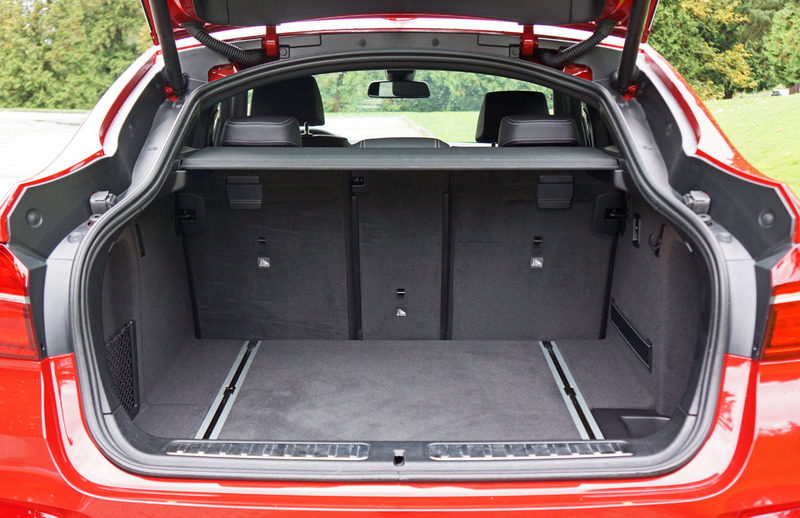 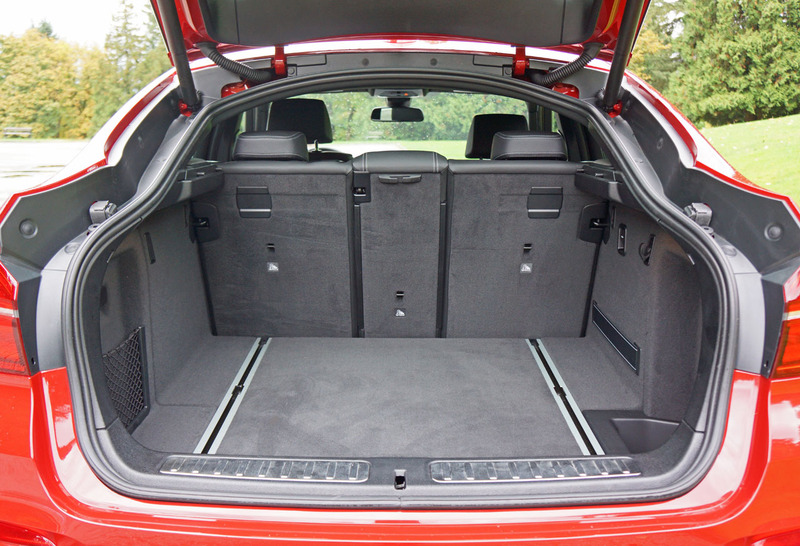 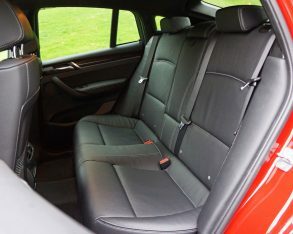 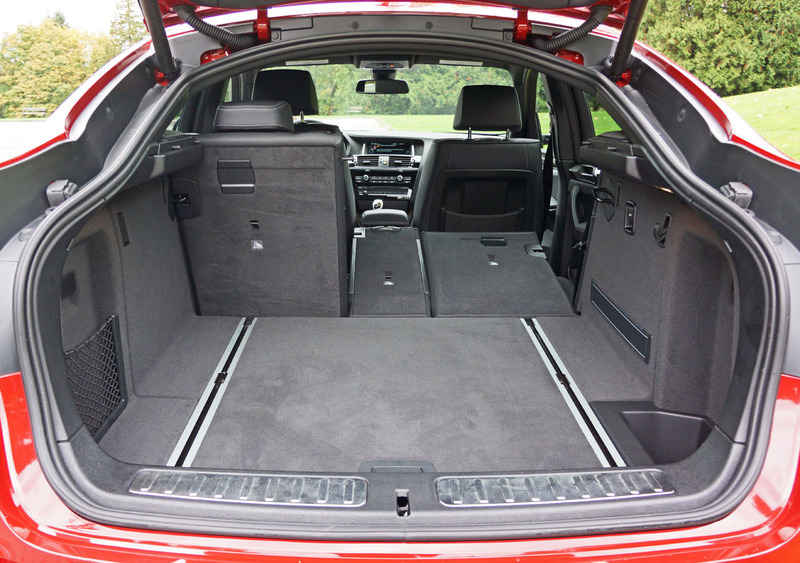 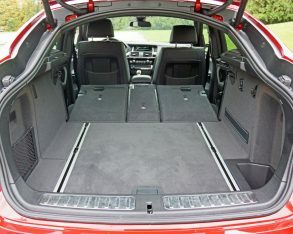 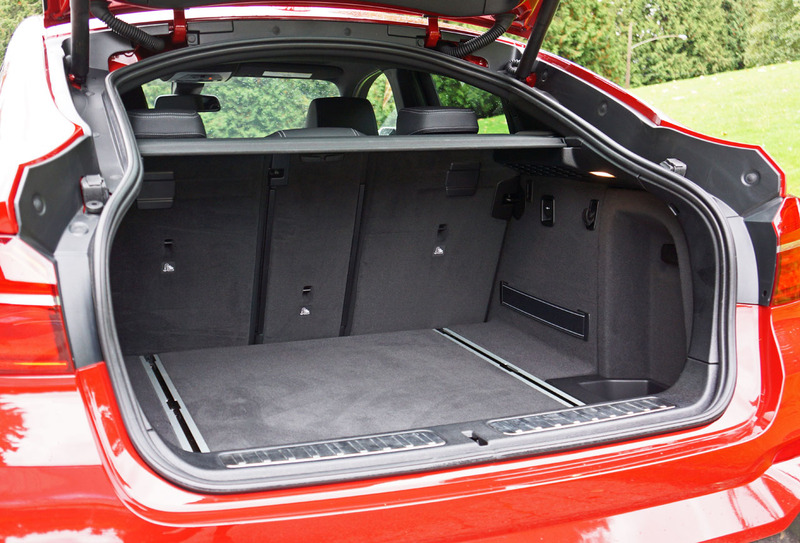 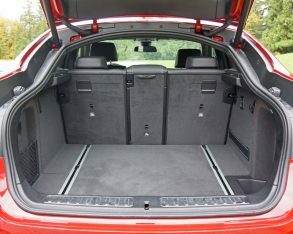 The numbers read 501 litres (17.7 cubic feet) before folding the ultra-useful 40/20/40 rear seats flat, at which point capacity opens up to a maximum load of 1,399 litres (49.4 cu ft). 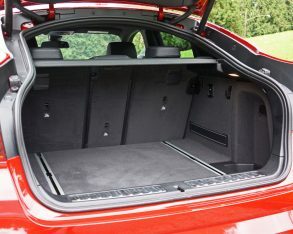 Sure the X3 gives you more, but let’s face it, a 3 Series sedan will stow more stuff in its trunk than a 4 Series convertible. 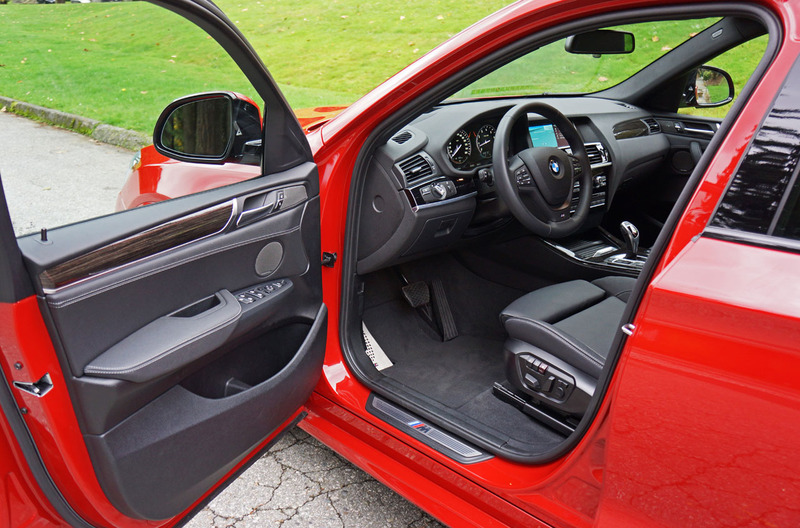 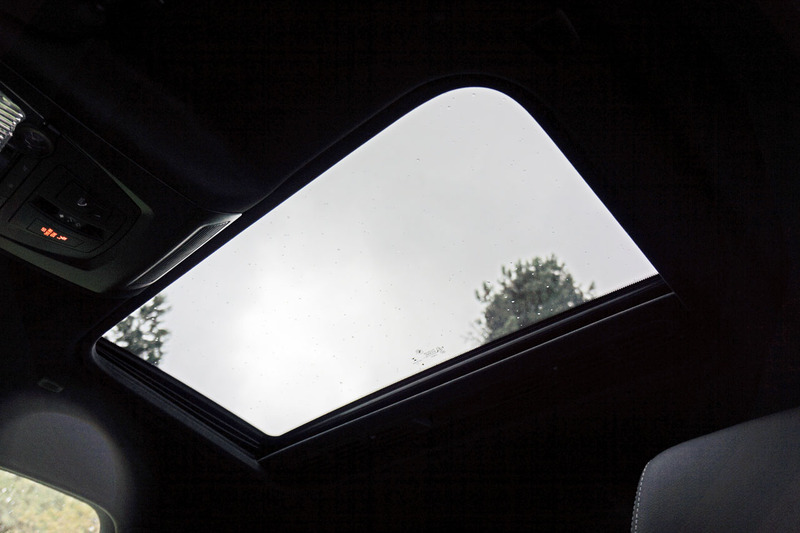 It comes down to priorities, and the X6 has proven many BMW customers don’t mind trading off a little space for a lot of cool. 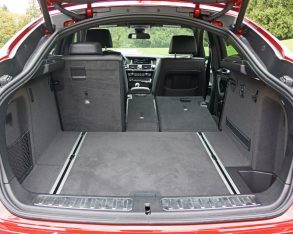 millimetres (37.4 inches) of rear headroom might not be as expansive as the X3’s 993-mm (39.1-inch) measurement, a difference of 43 mm (1.7 inches), but it’s plenty for most peoples’ needs. 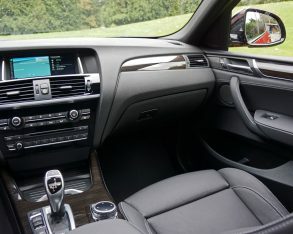 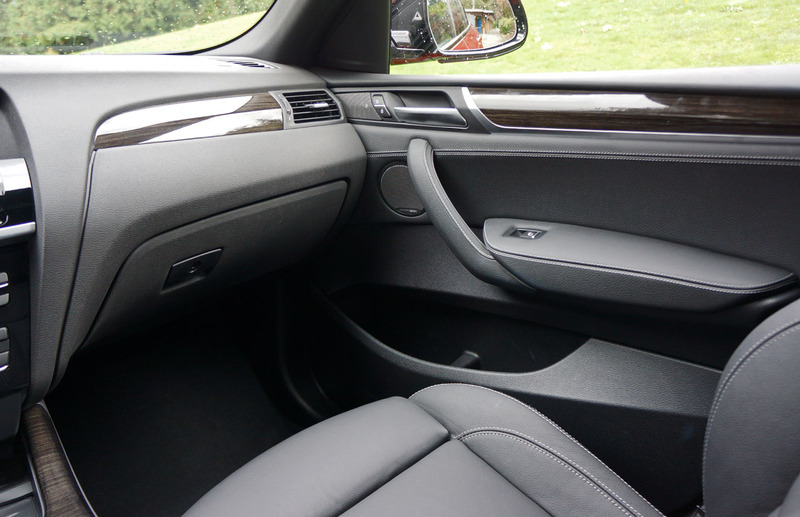 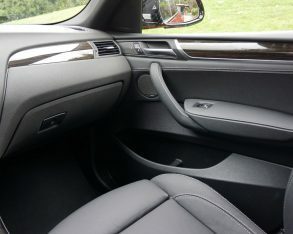 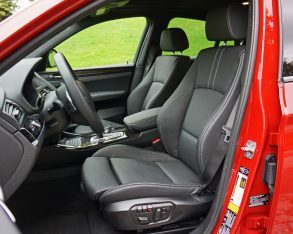 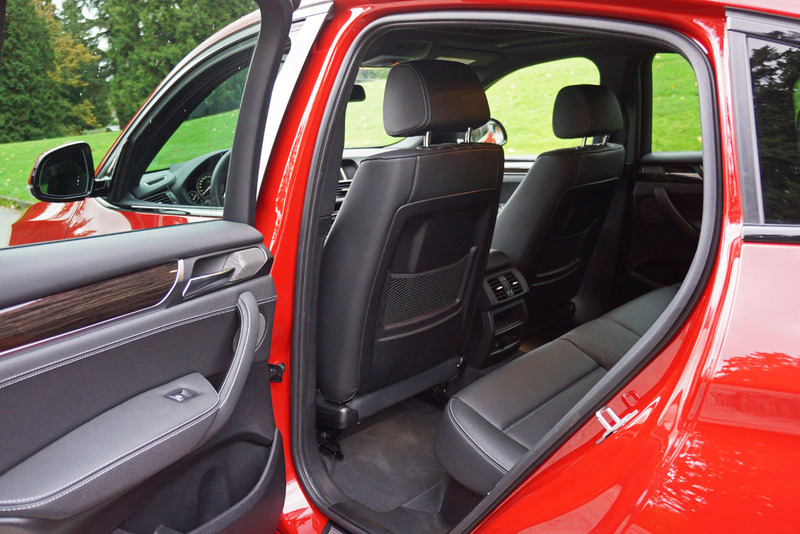 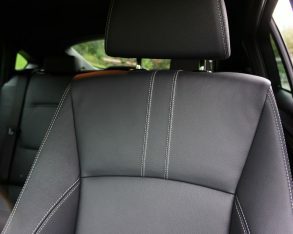 Again, compare it to the back seat of a two-door 4 Series or most any other sporty model and you’ll feel nicely accommodated. 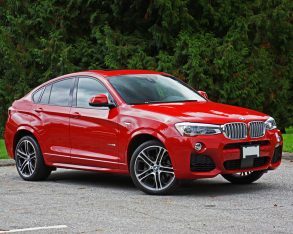 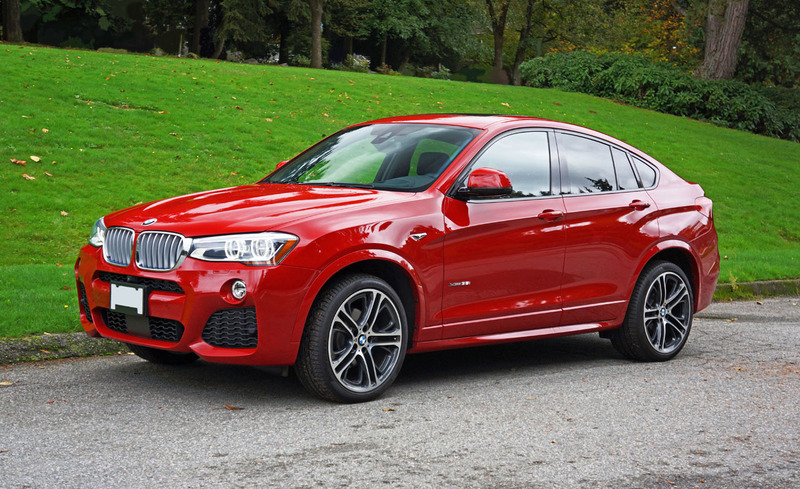 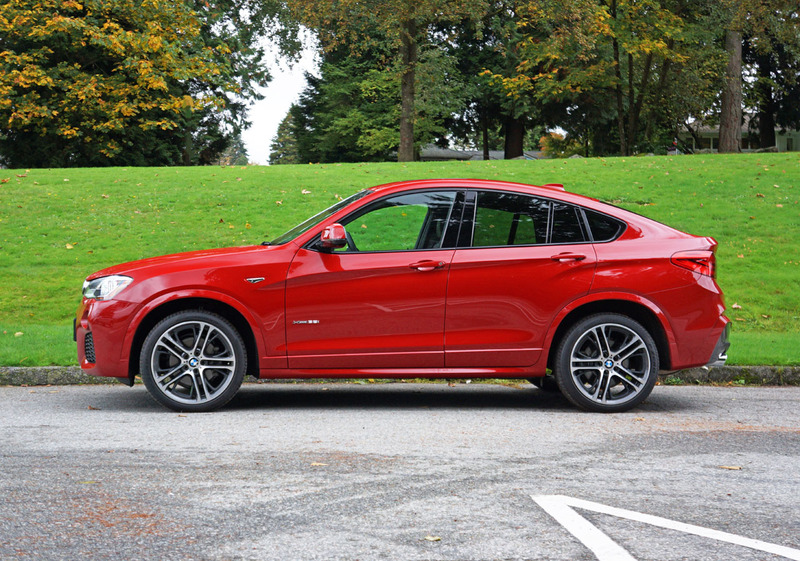 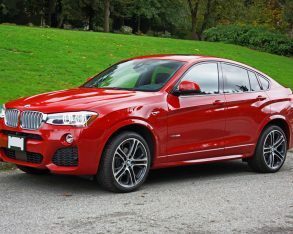 X4 in xDrive28i trim for $46,300 plus the added bonus of even better fuel economy. 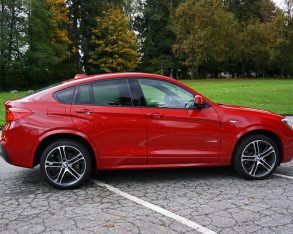 To be frank, I haven’t always understood the need for BMW to fill every possible body style niche with a new model, but the X4 has made me a believer in the same way that the 4 Series Gran Coupe changed my point of view earlier this year. 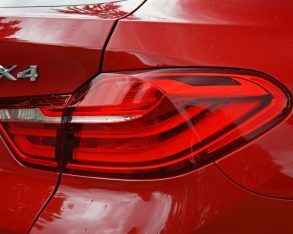 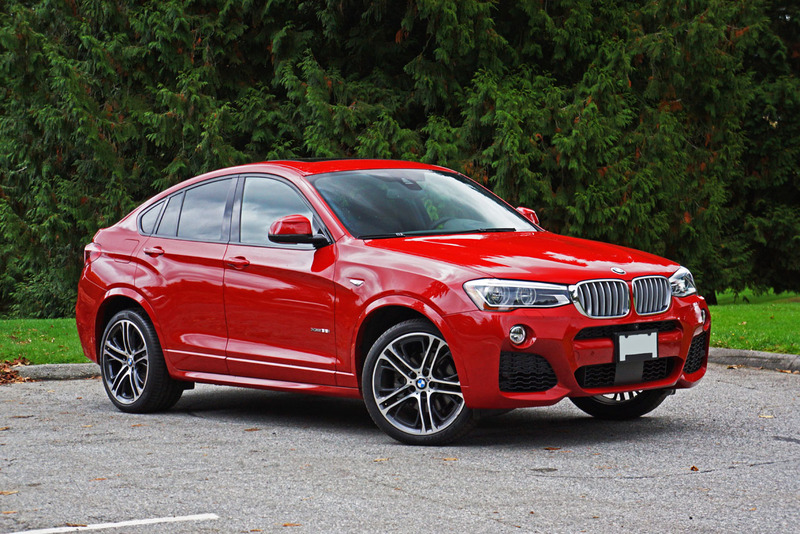 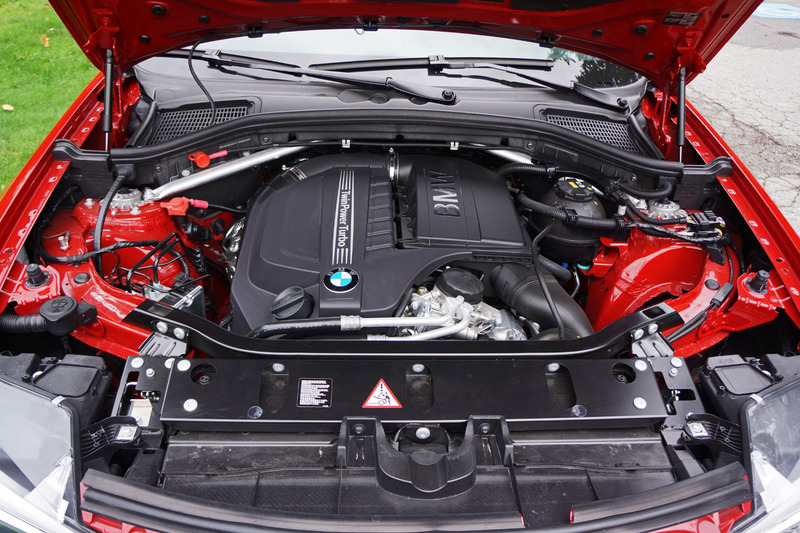 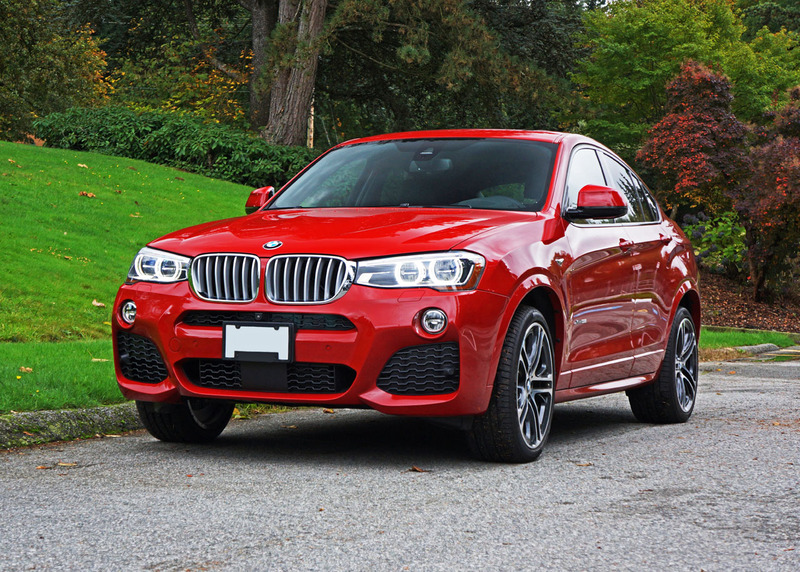 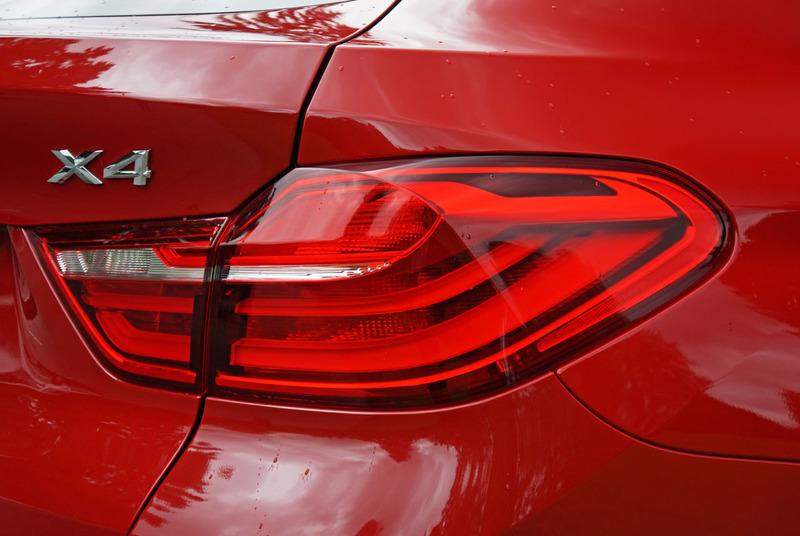 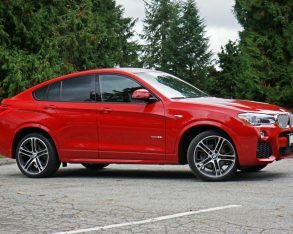 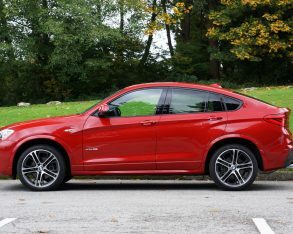 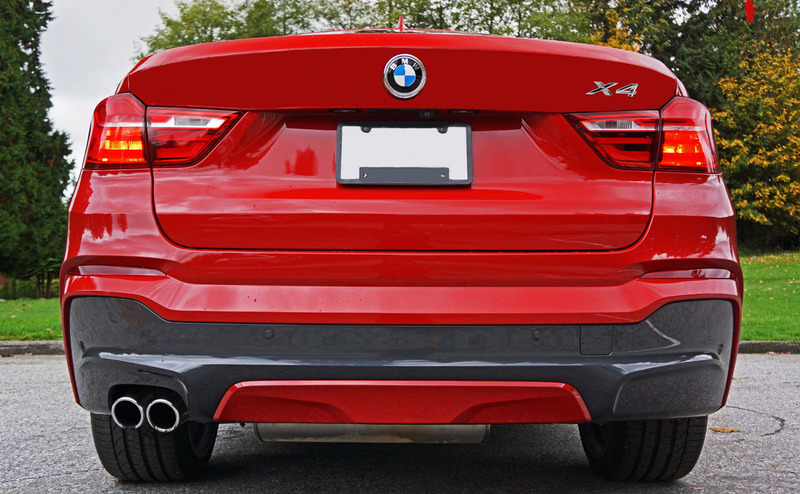 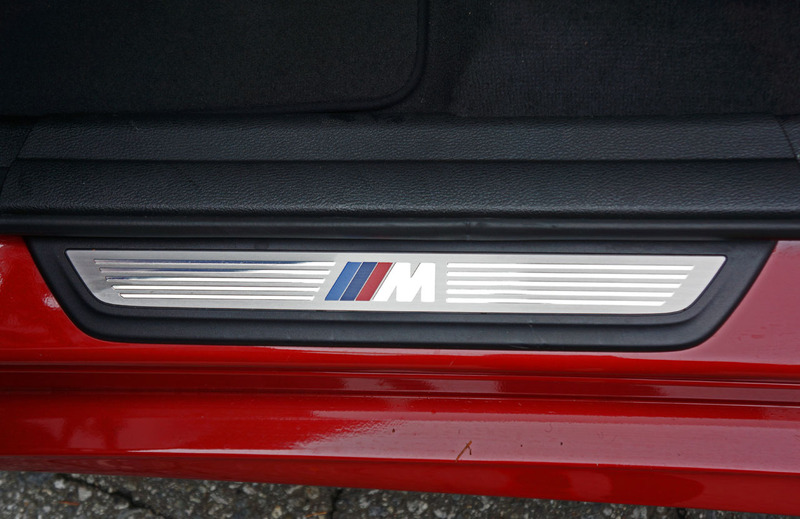 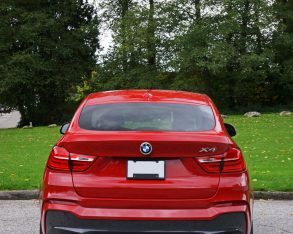 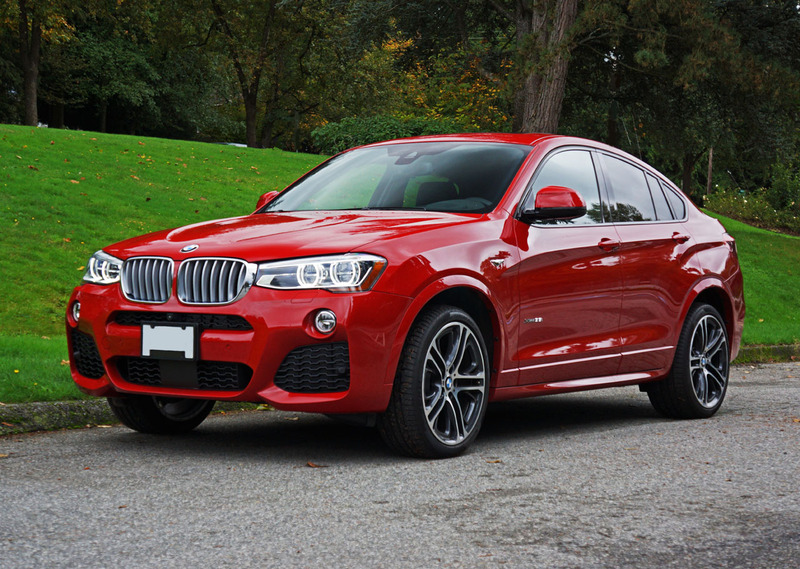 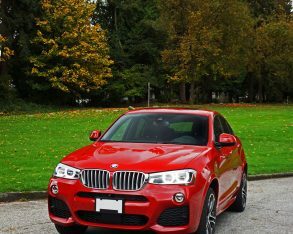 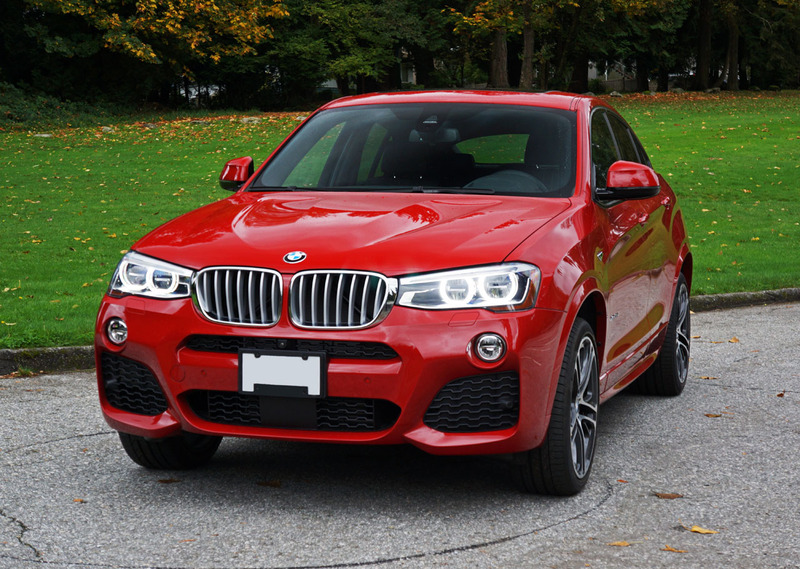 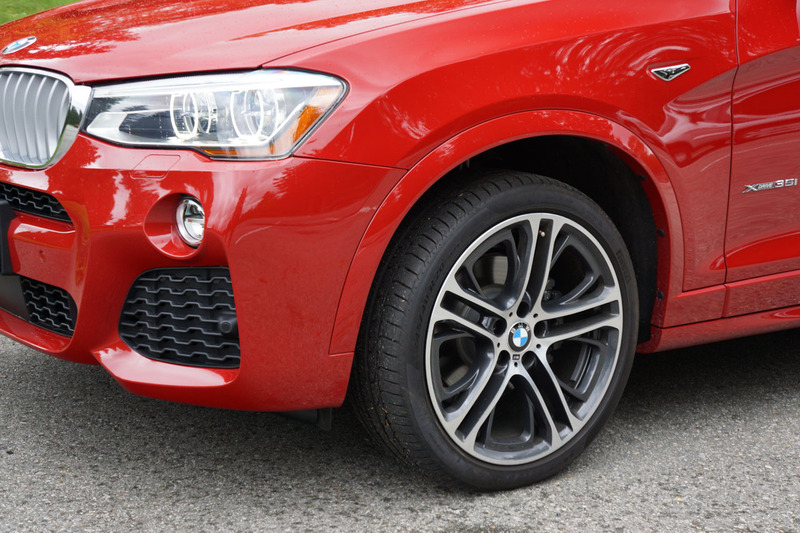 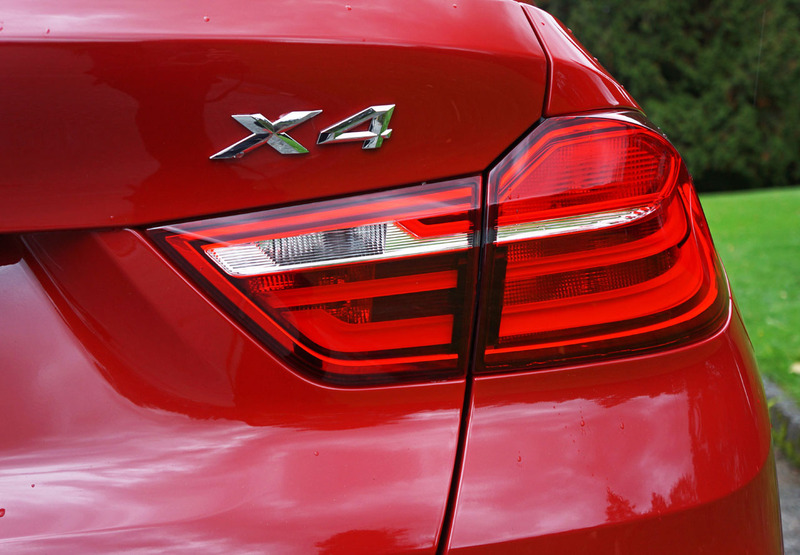 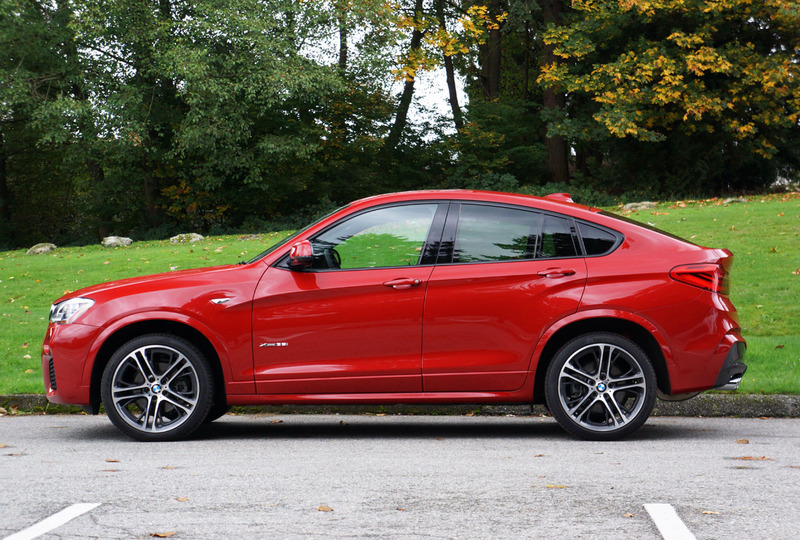 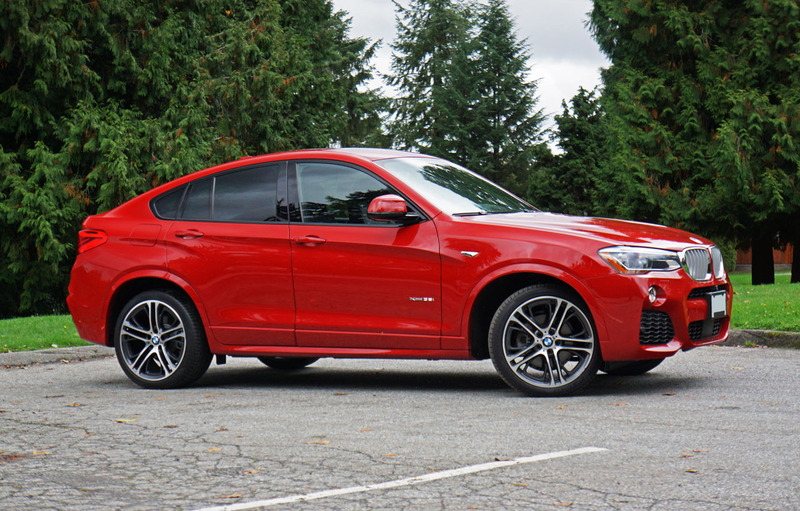 Where the smaller Gran Coupe offers a sportier sport sedan than a 3 Series, something few would have previously considered possible this side of an M3, the X4 delivers a sportier crossover SUV than the already much-lauded X3. 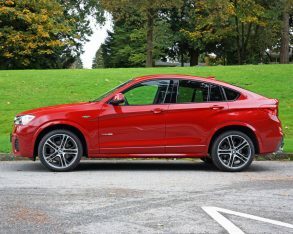 It’s easily one of the sportiest CUVs in its compact class and all-round one of the best-executed vehicles I’ve driven in a long time.